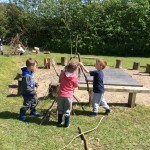 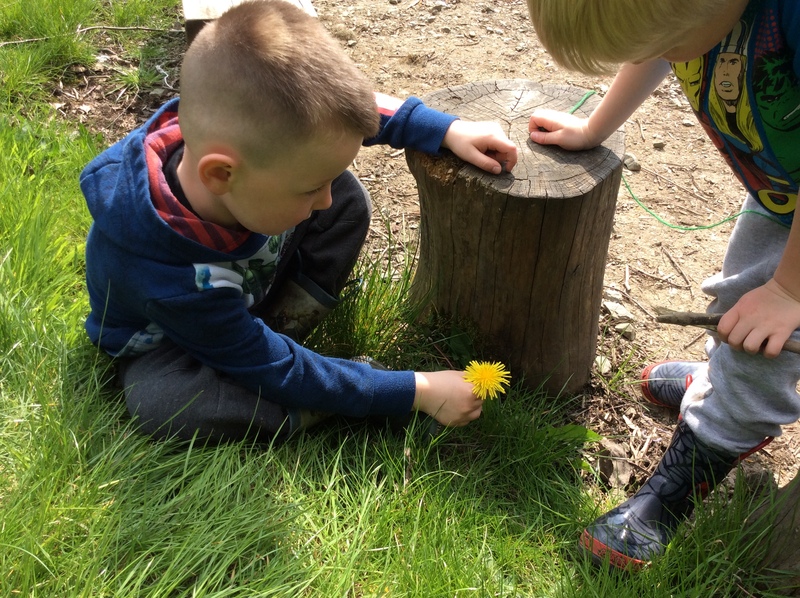 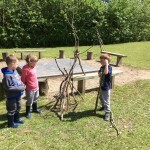 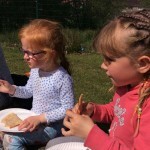 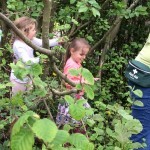 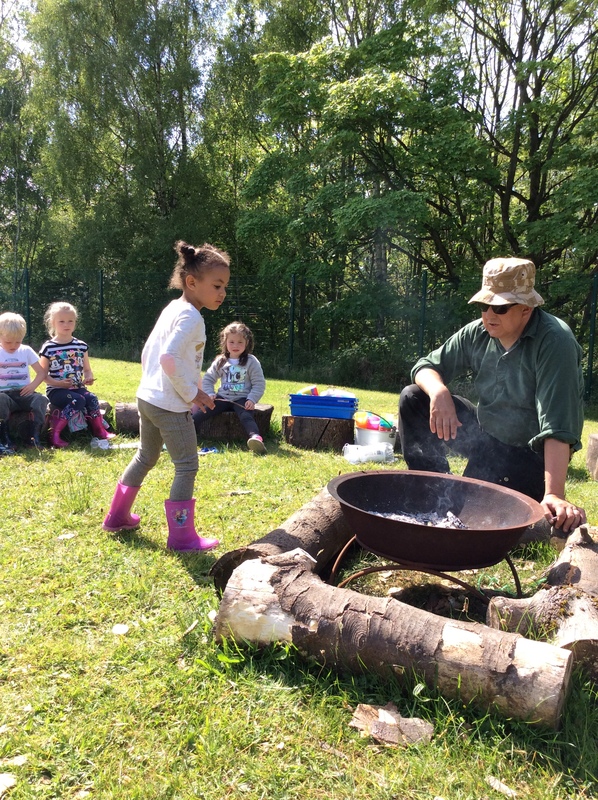 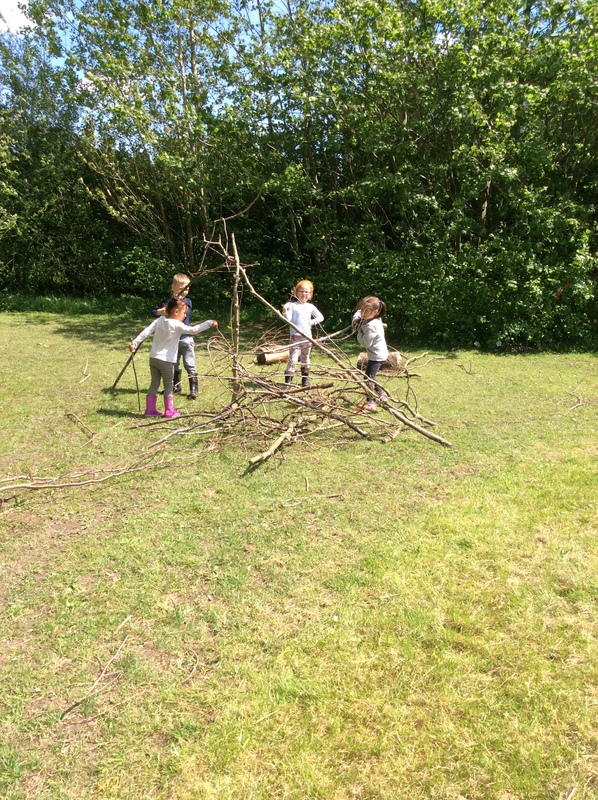 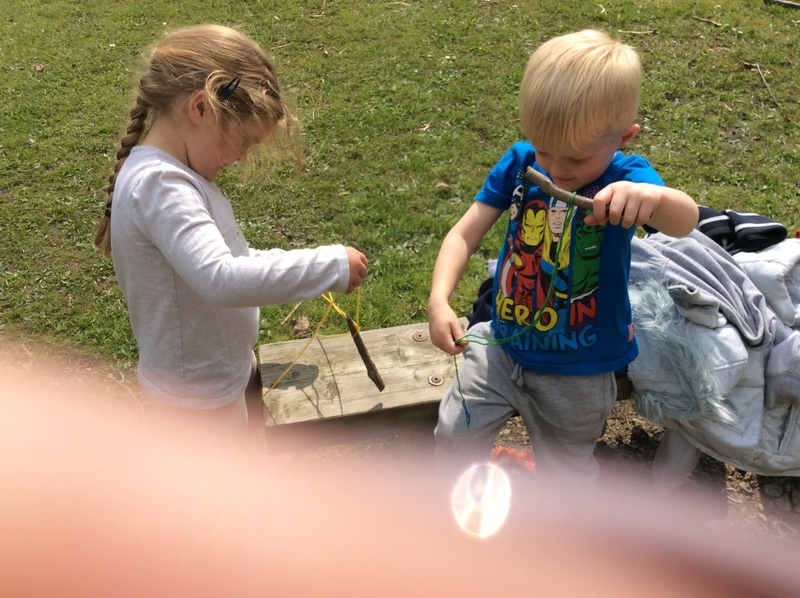 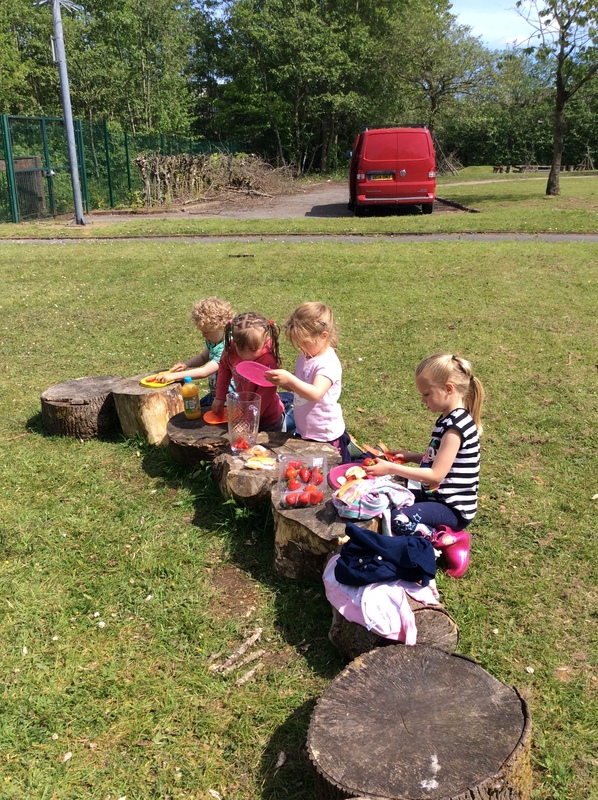 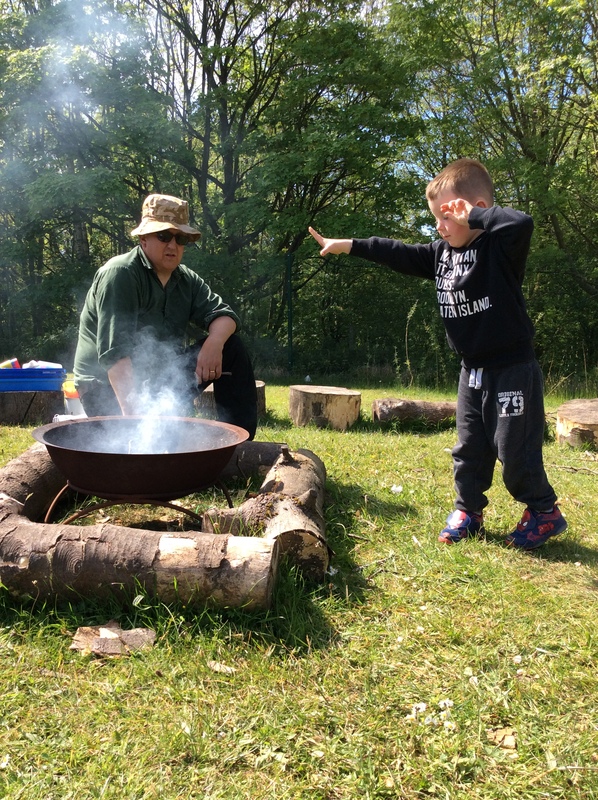 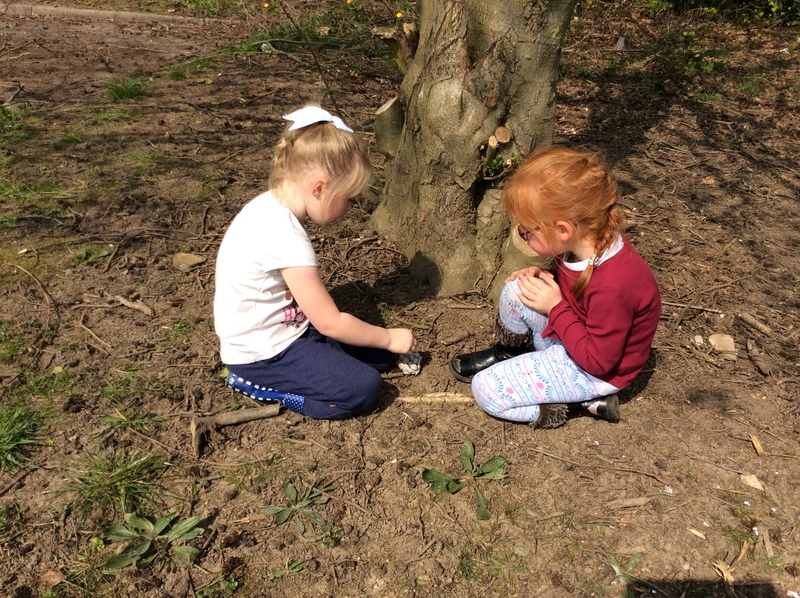 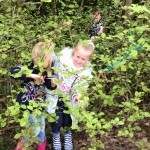 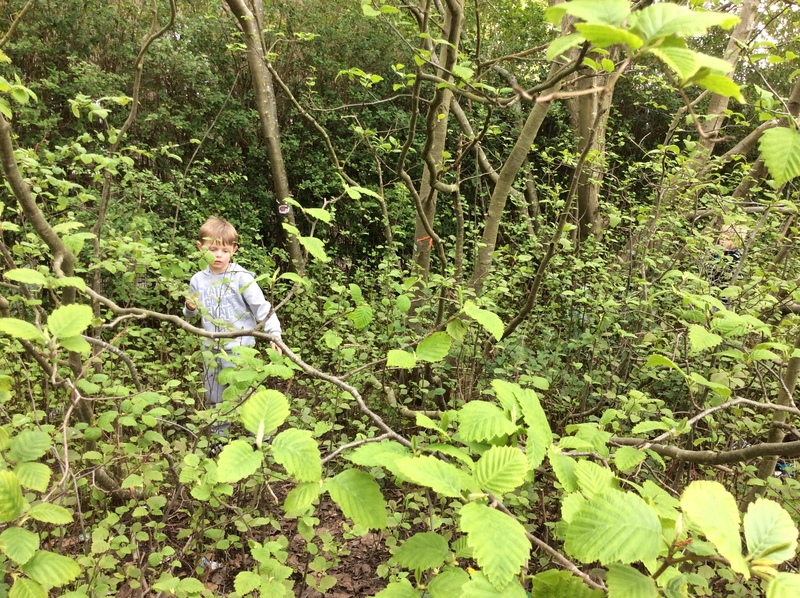 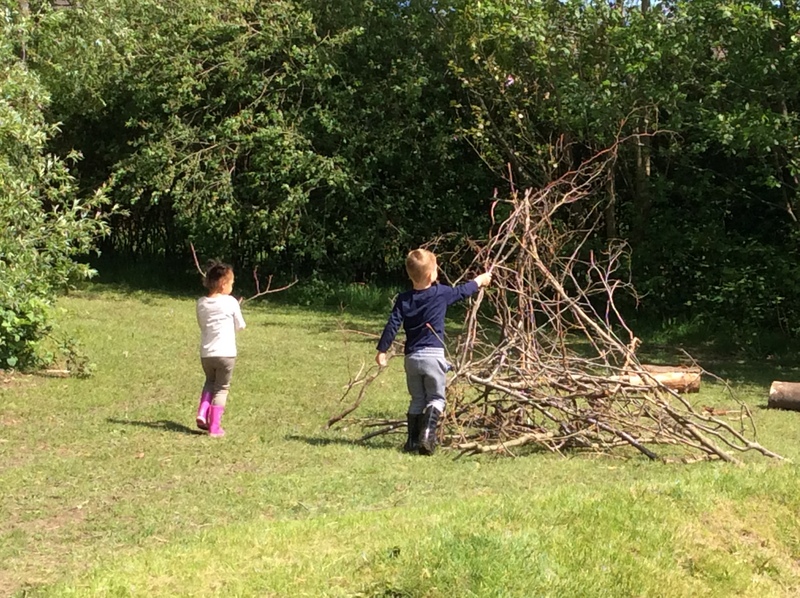 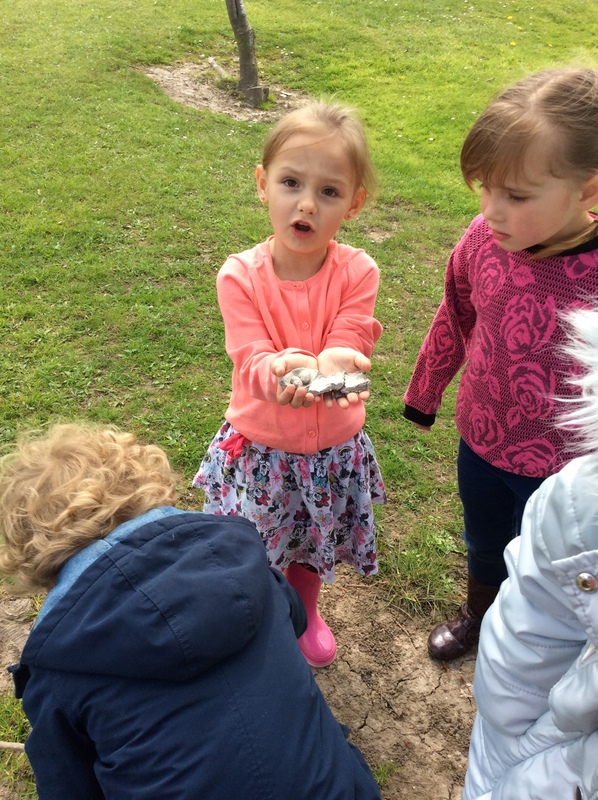 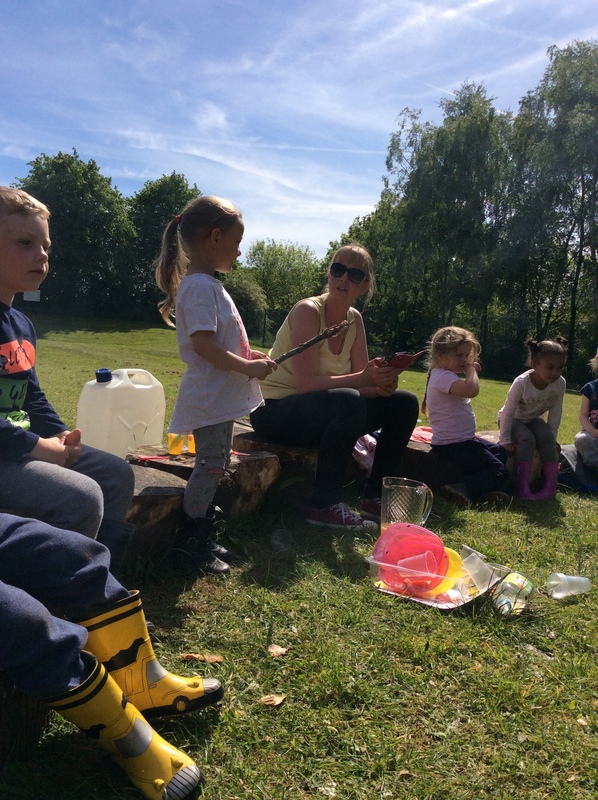 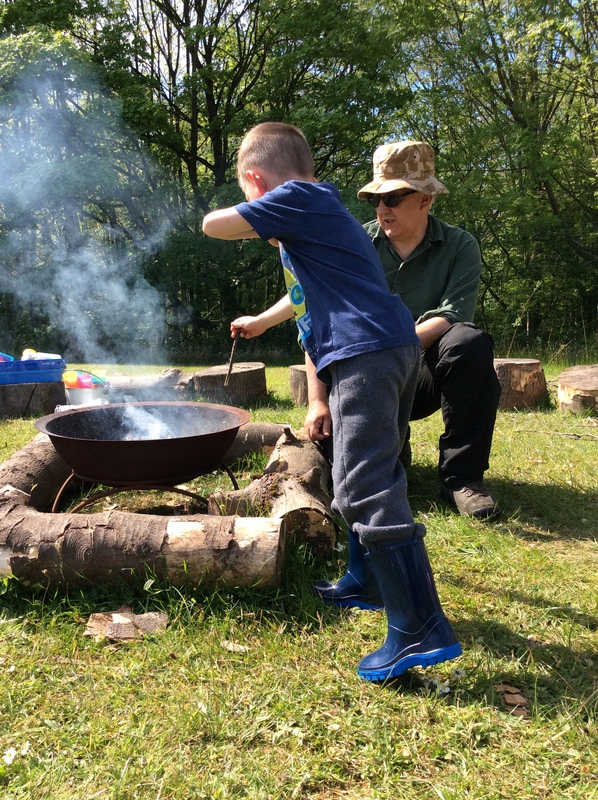 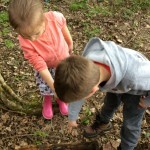 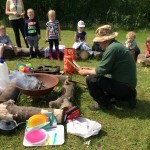 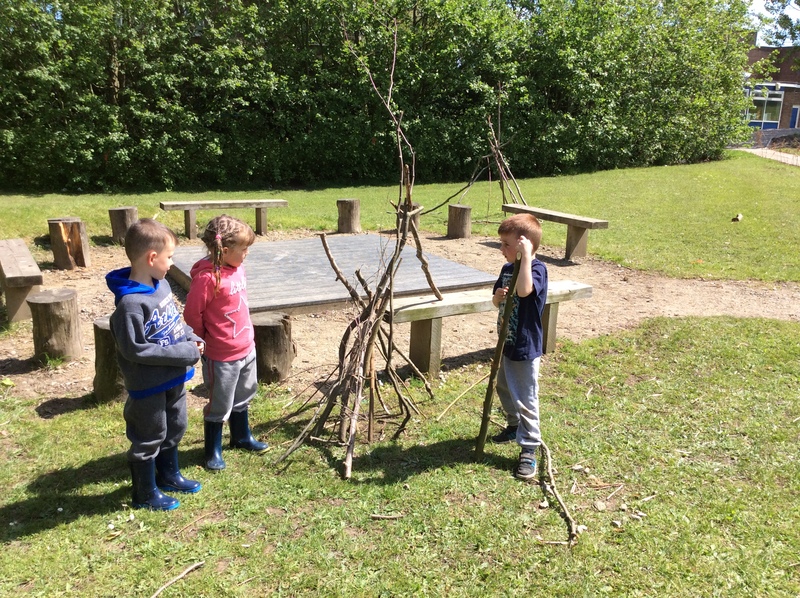 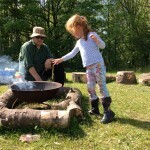 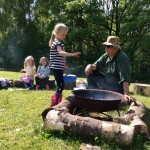 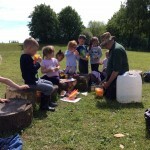 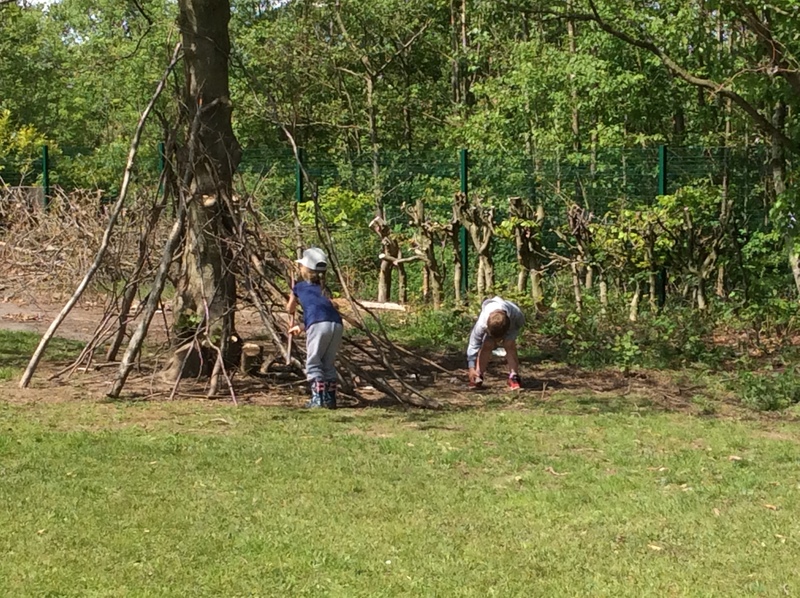 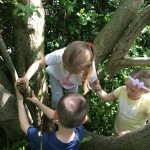 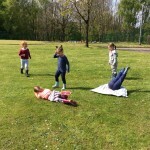 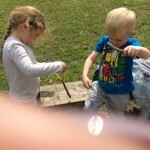 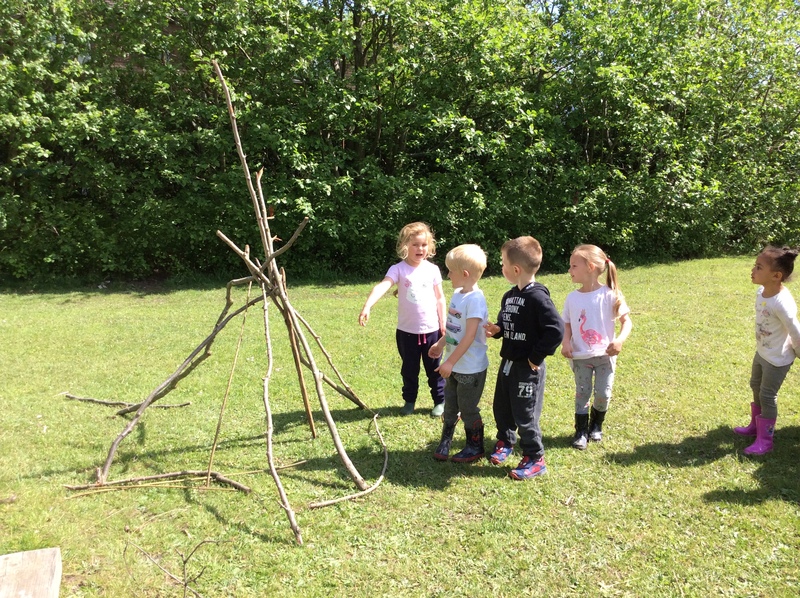 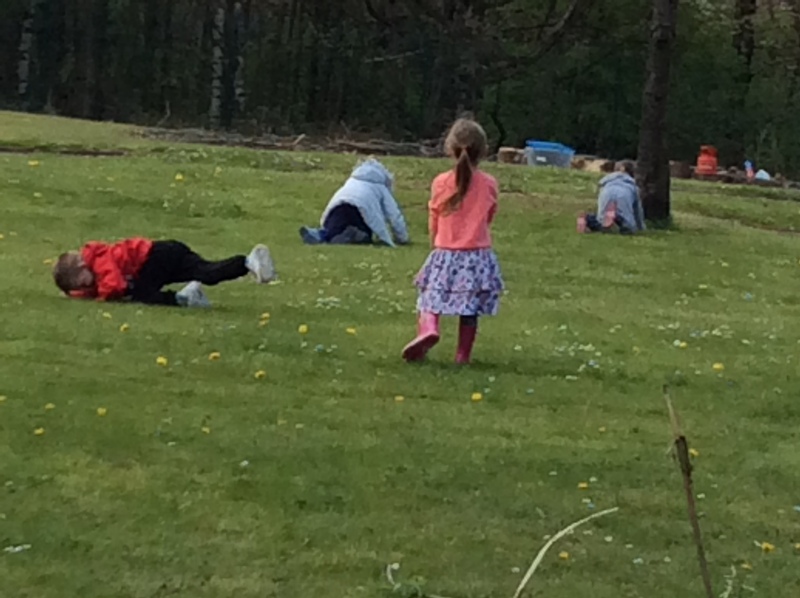 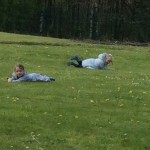 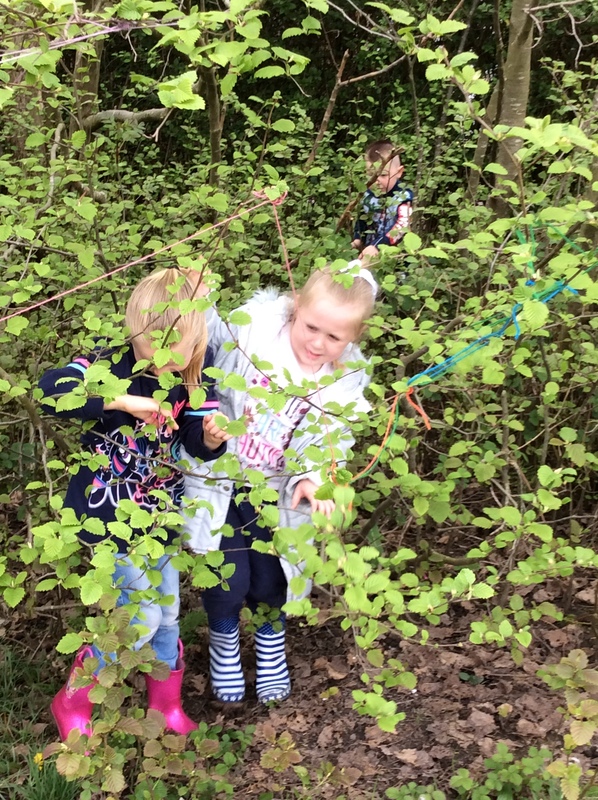 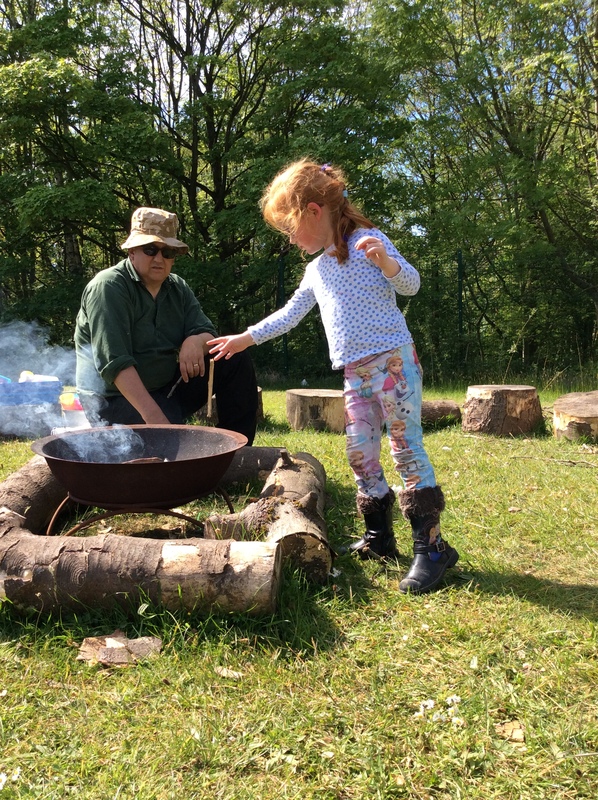 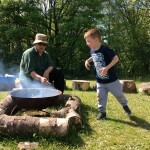 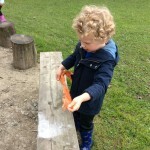 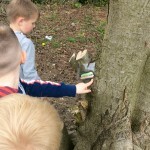 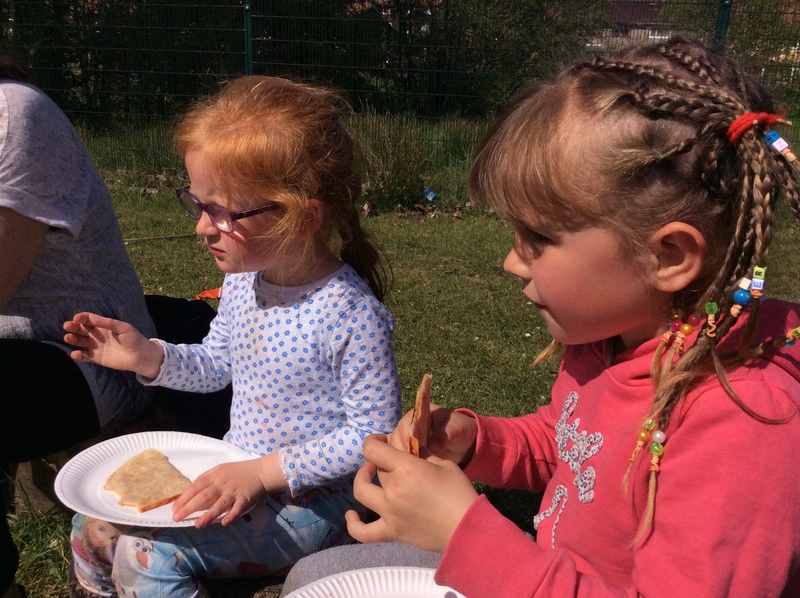 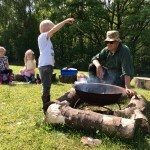 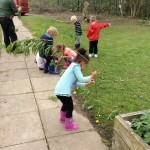 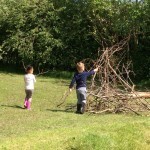 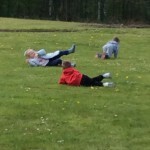 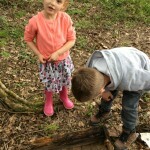 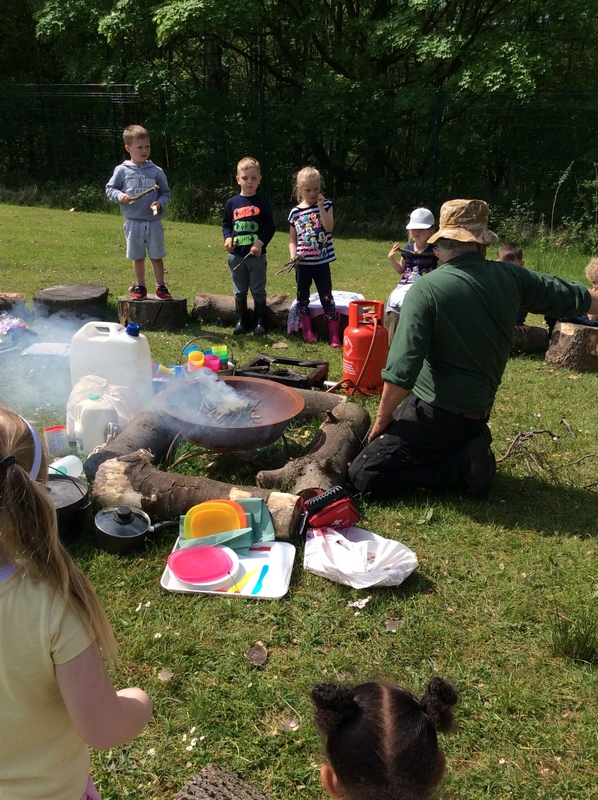 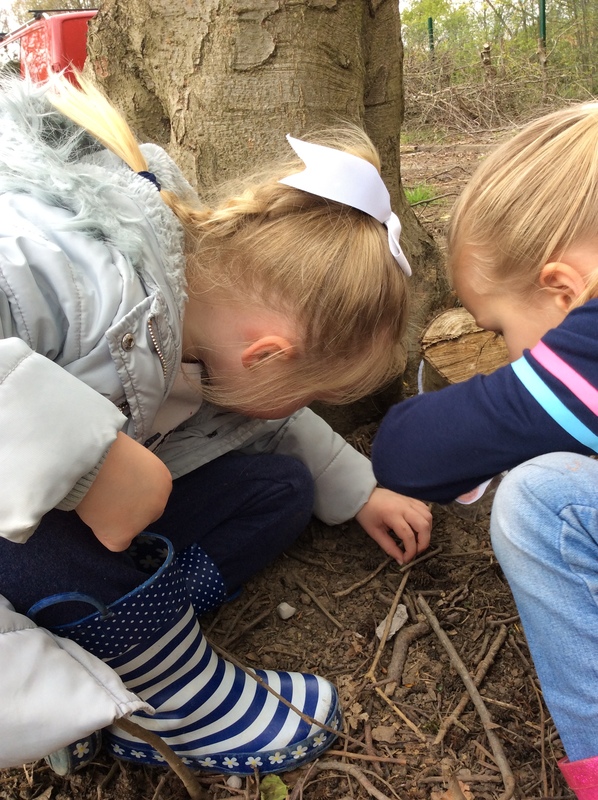 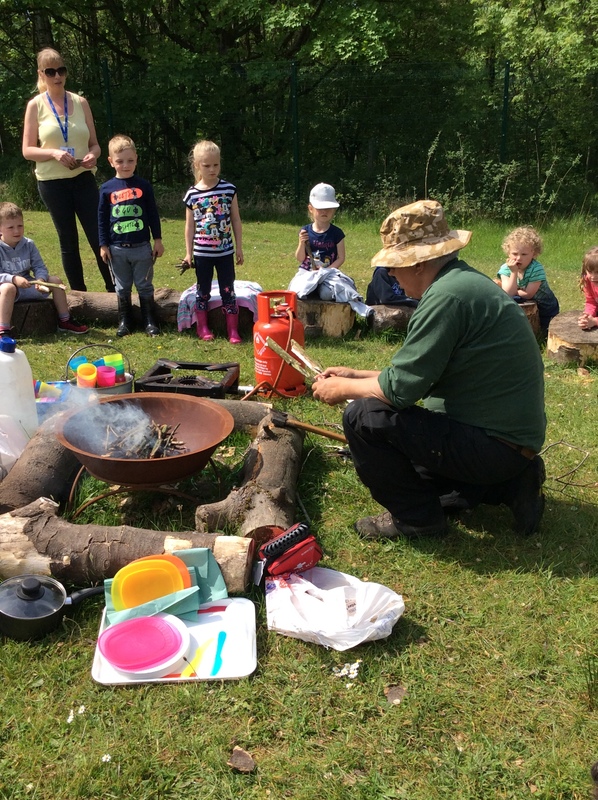 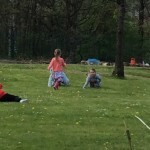 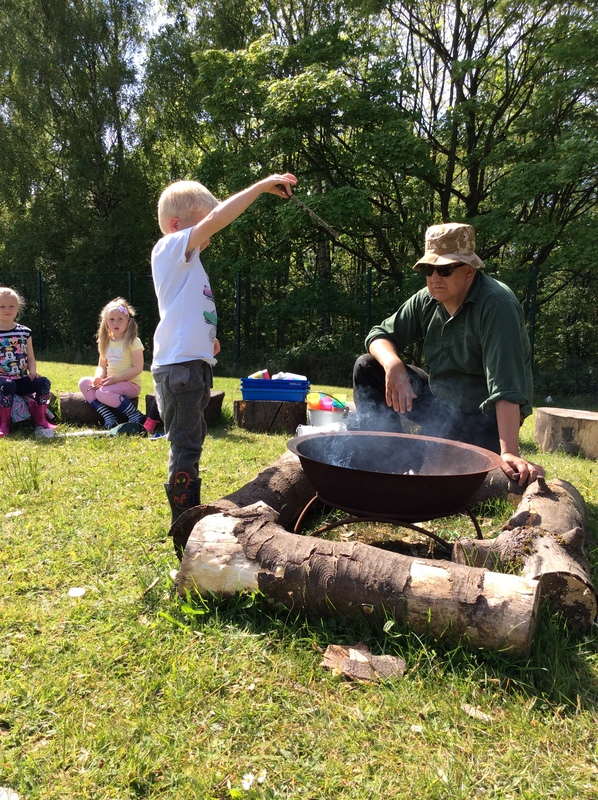 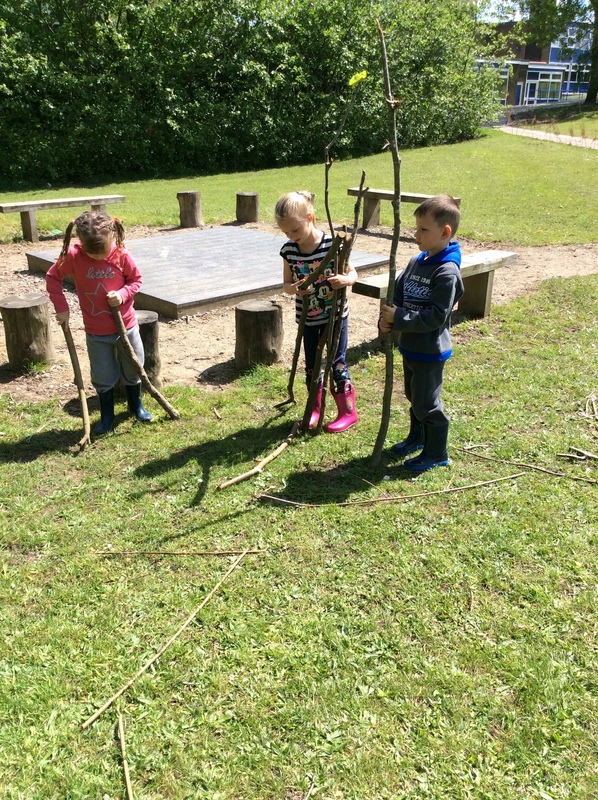 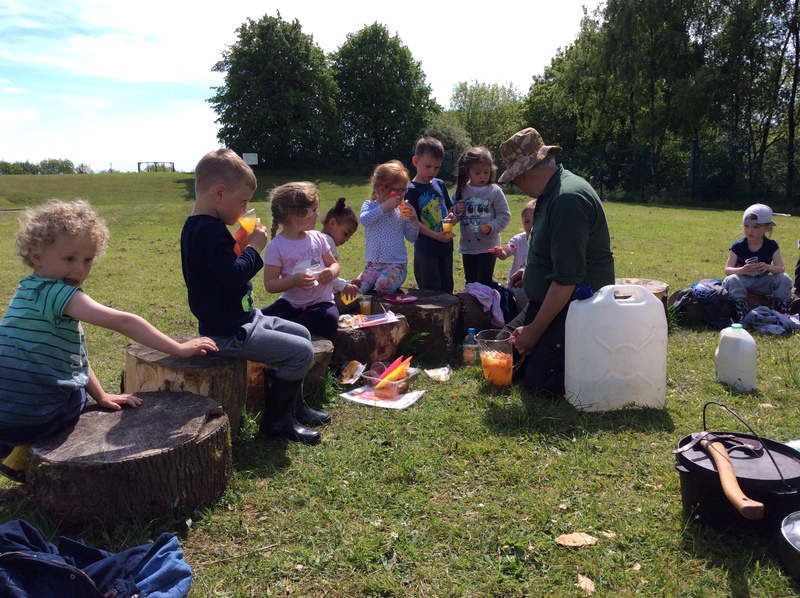 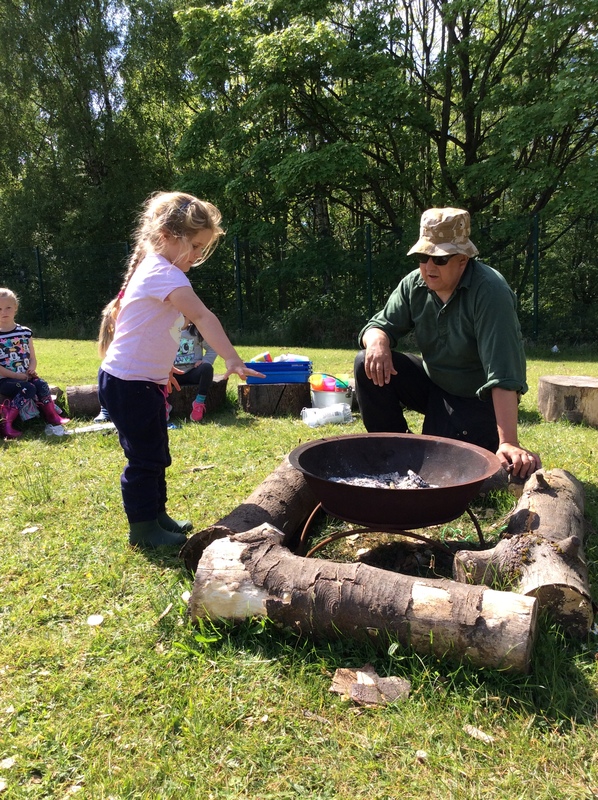 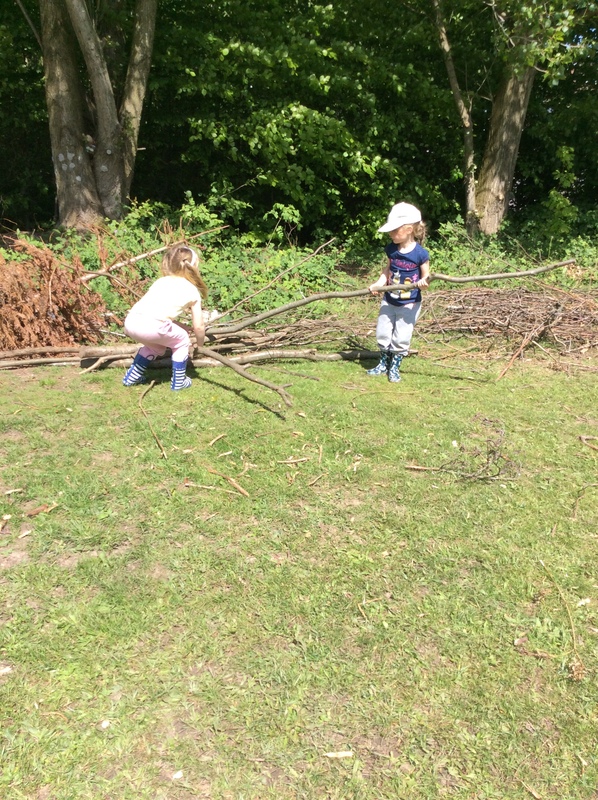 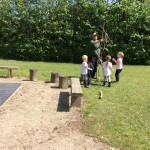 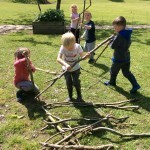 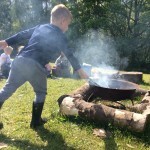 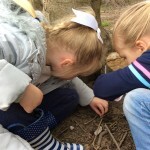 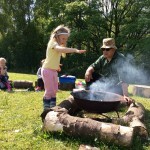 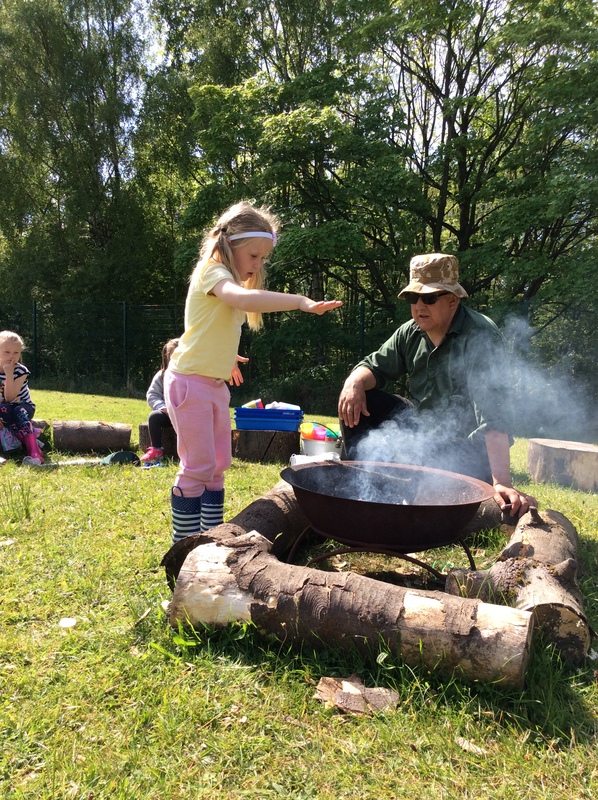 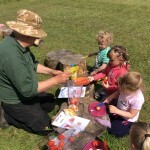 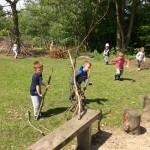 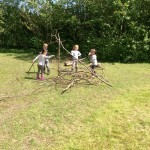 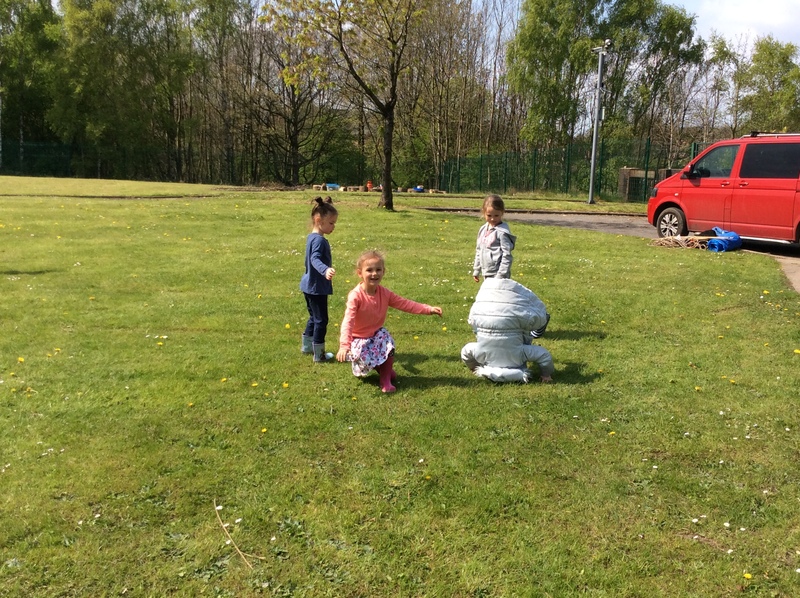 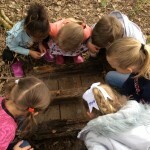 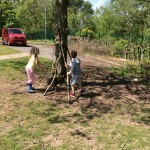 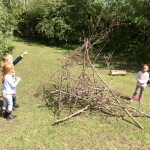 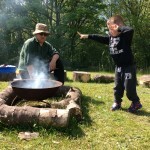 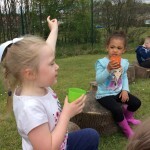 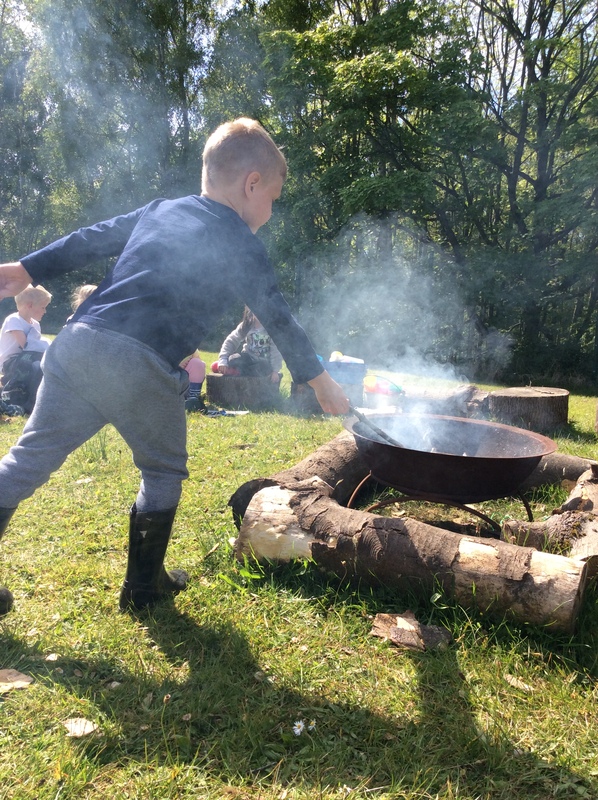 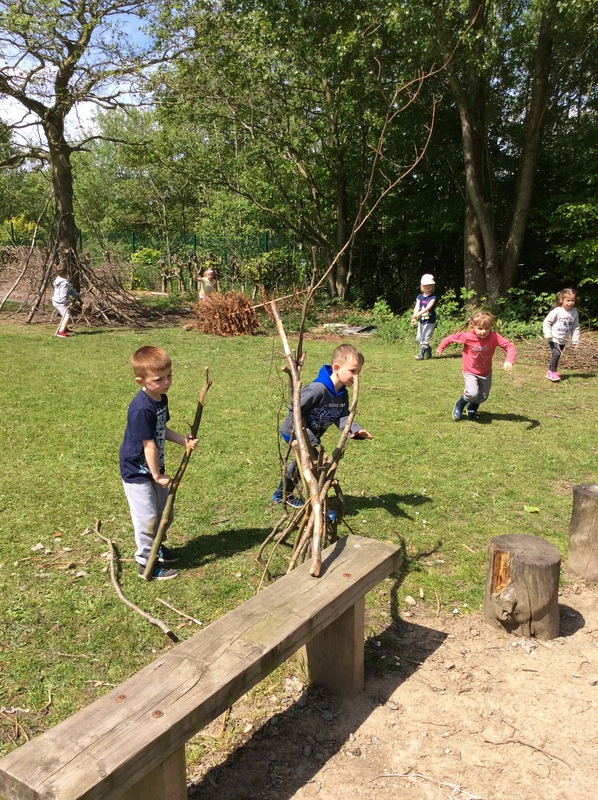 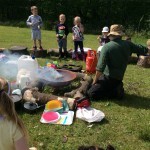 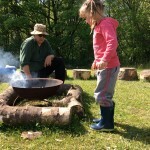 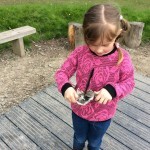 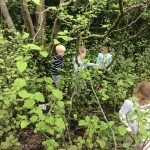 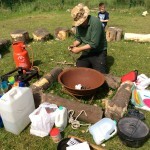 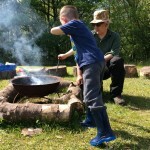 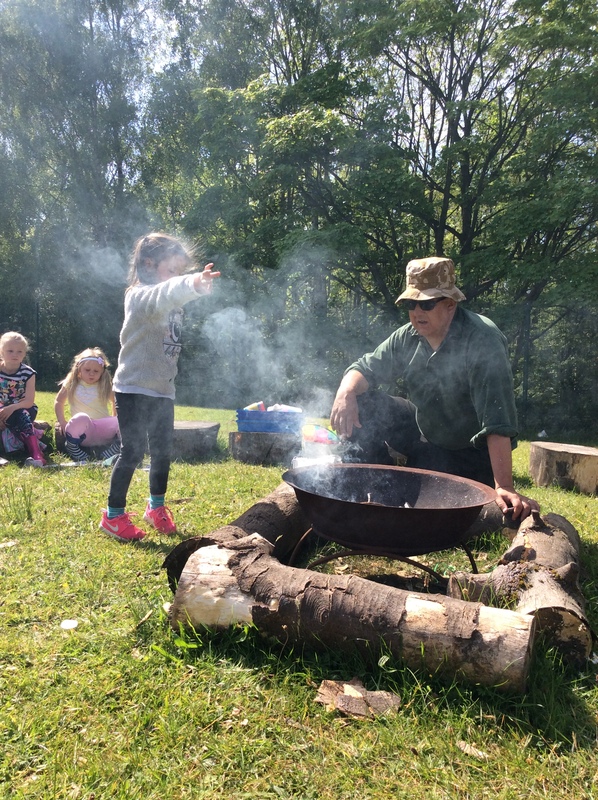 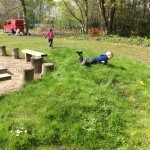 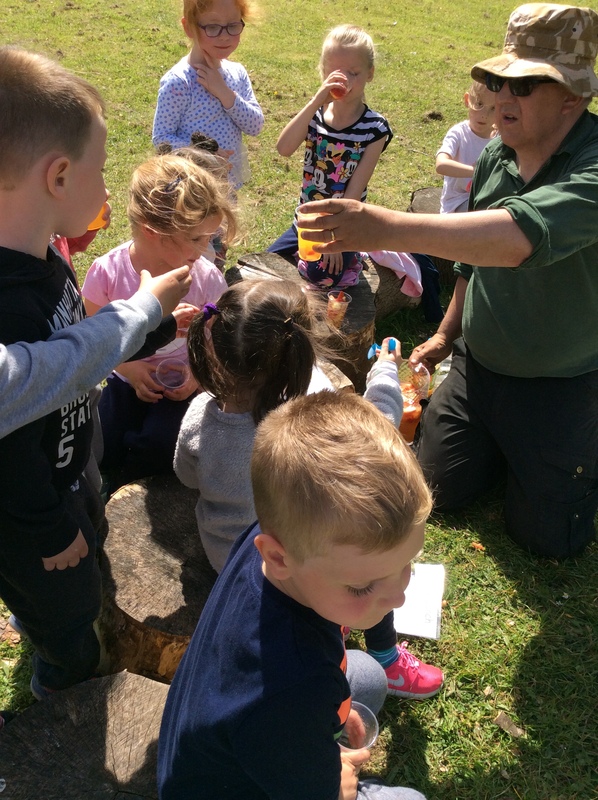 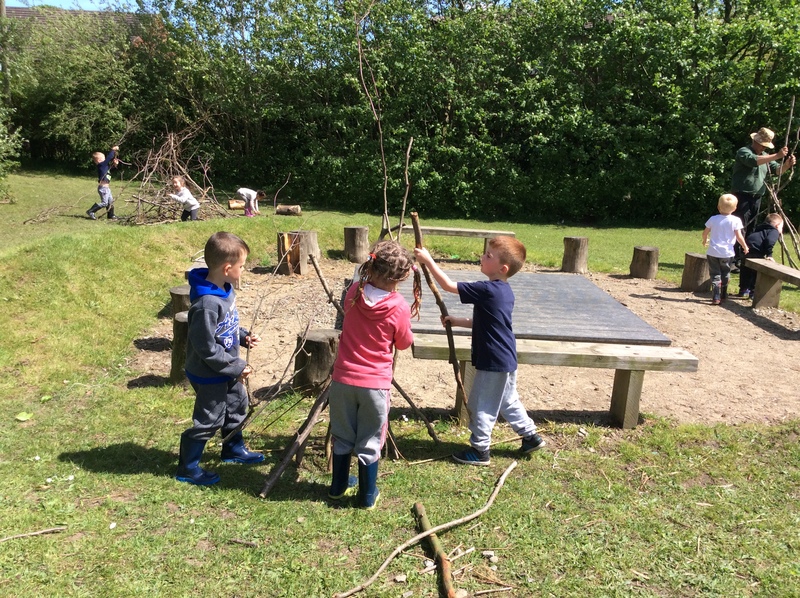 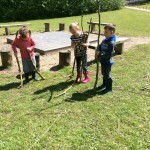 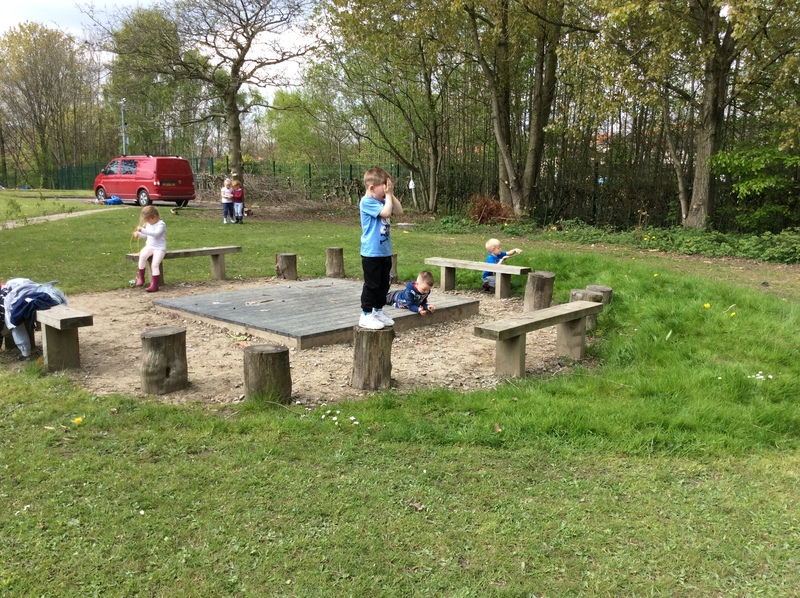 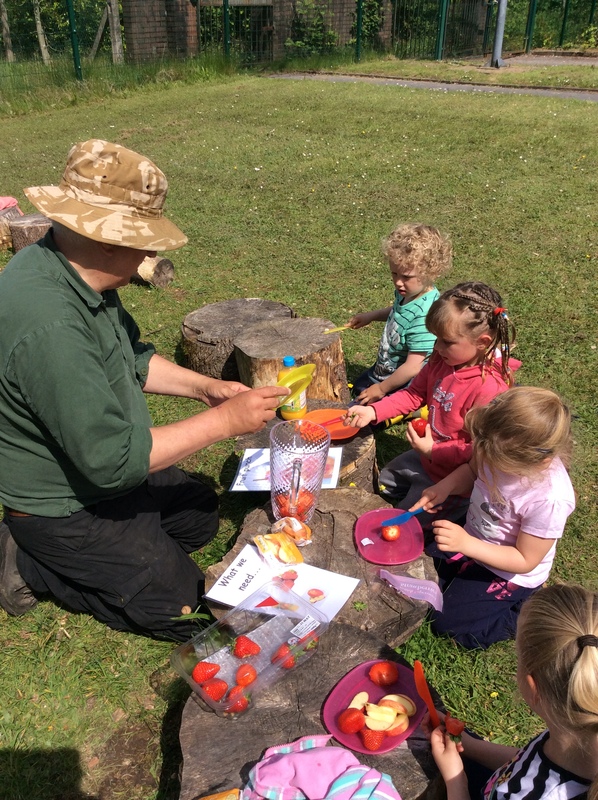 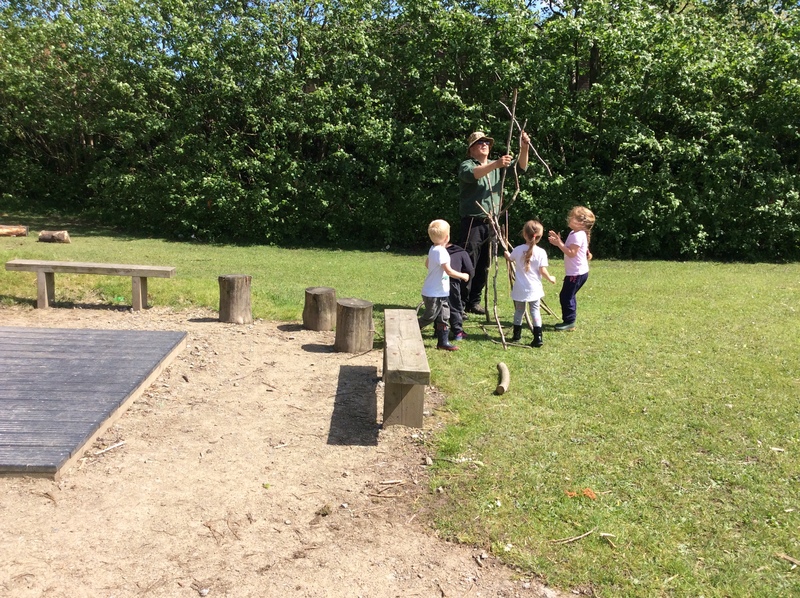 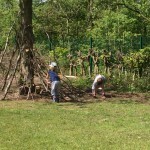 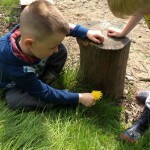 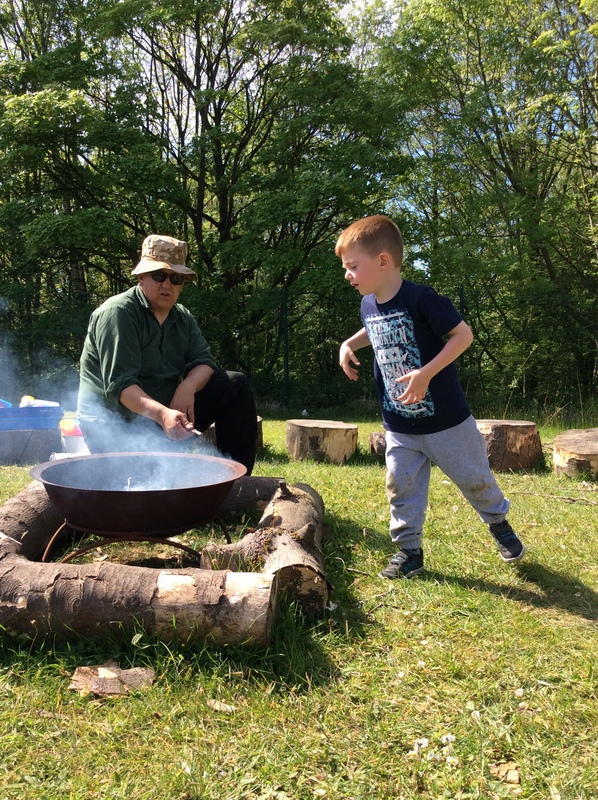 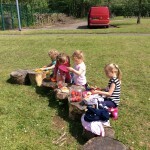 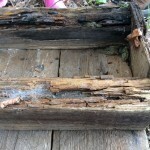 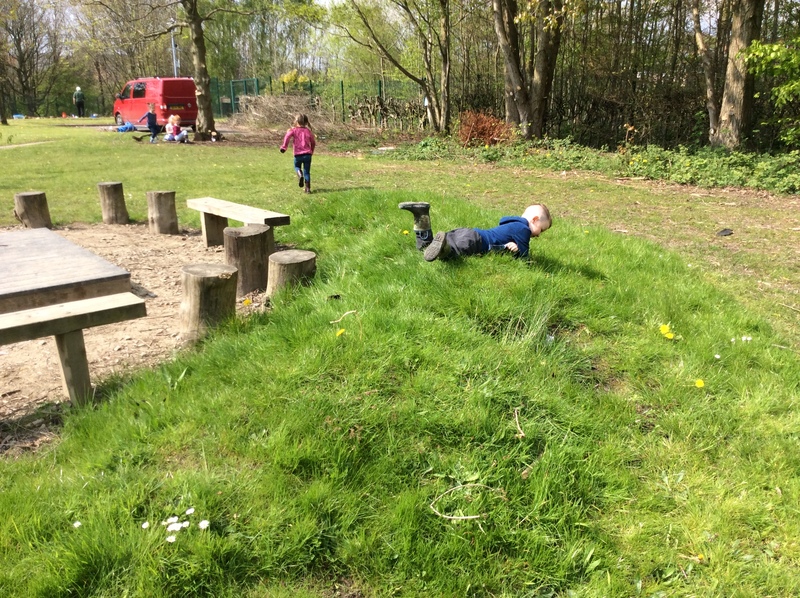 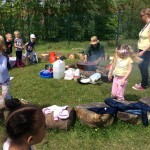 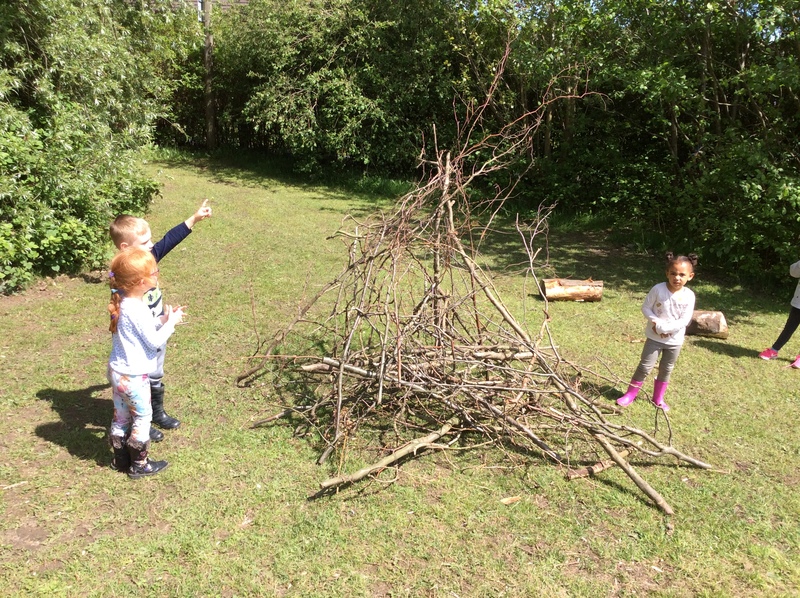 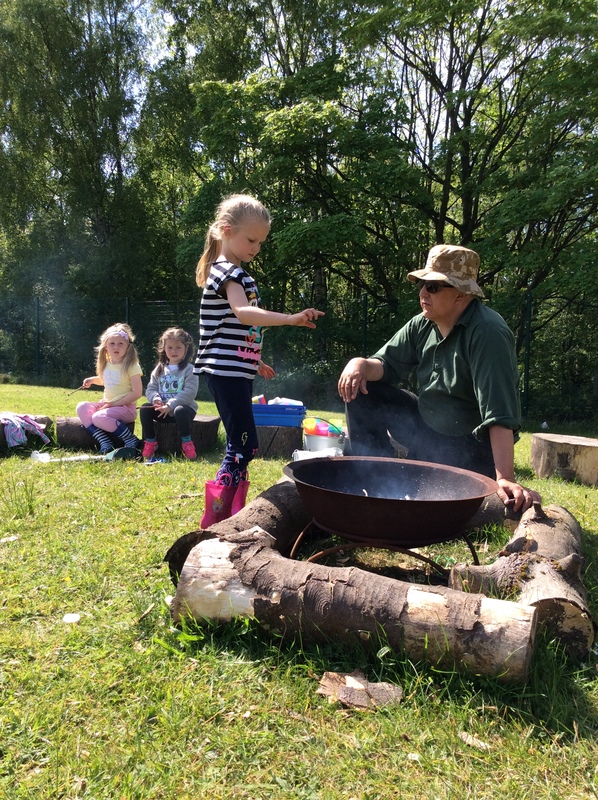 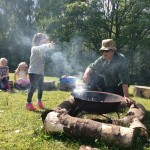 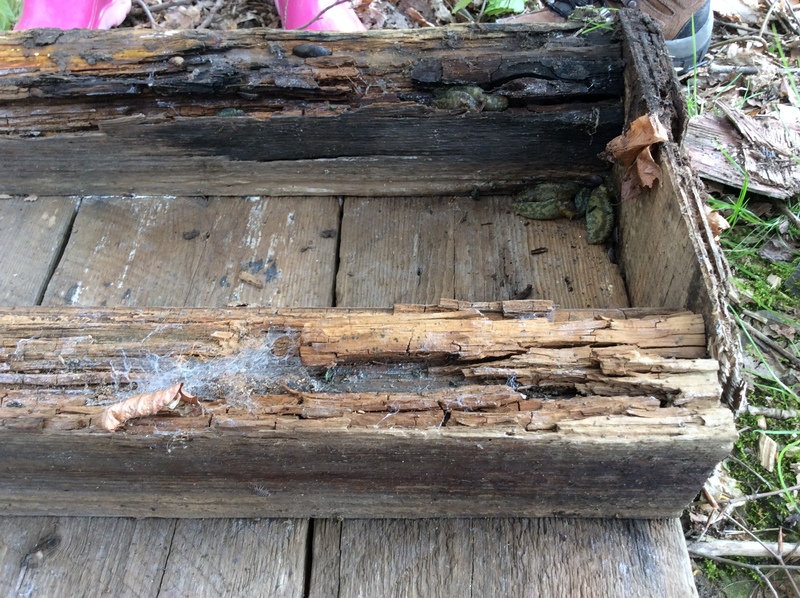 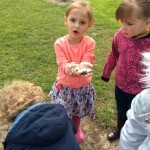 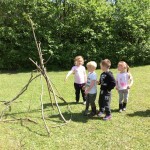 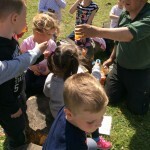 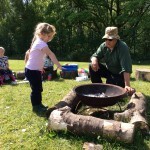 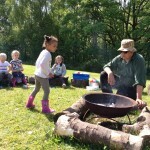 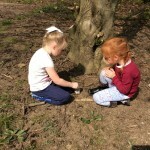 This week we had sunshine on our Forest School day. 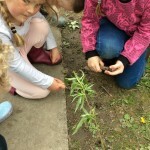 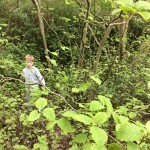 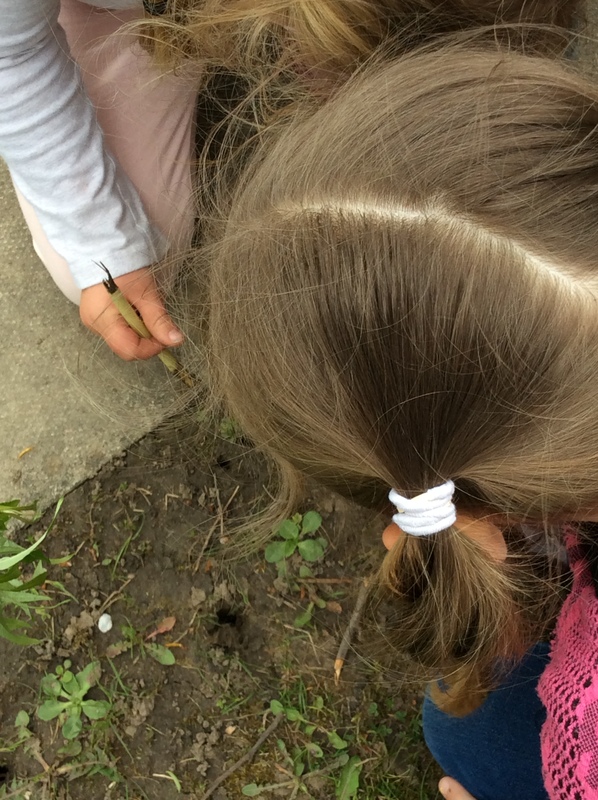 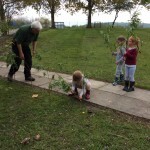 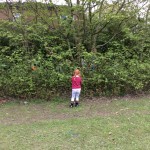 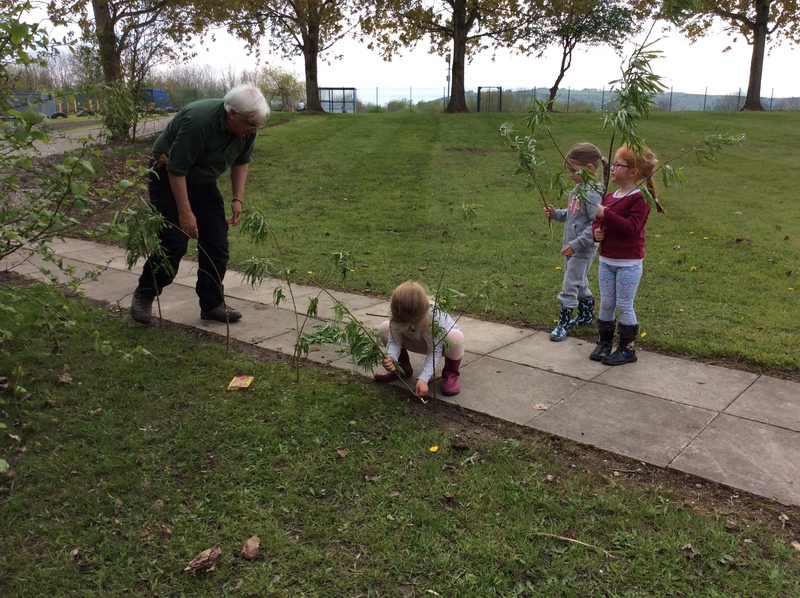 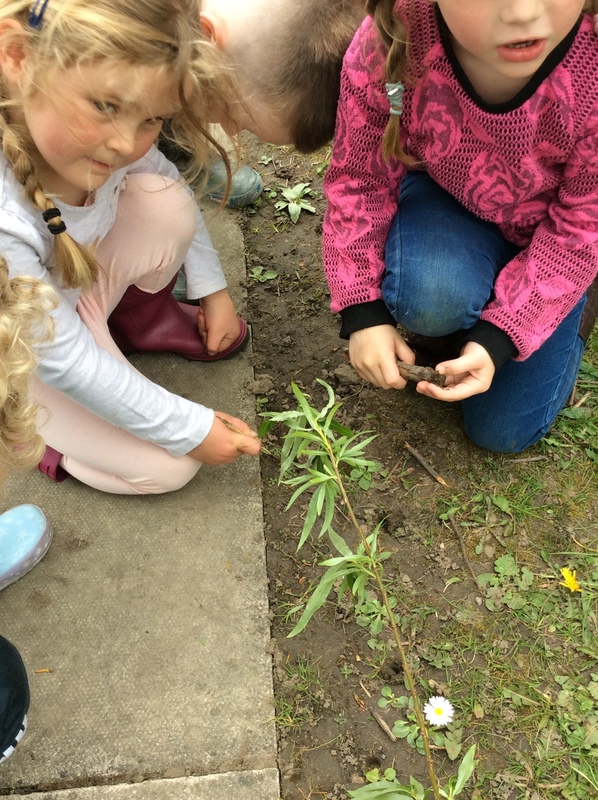 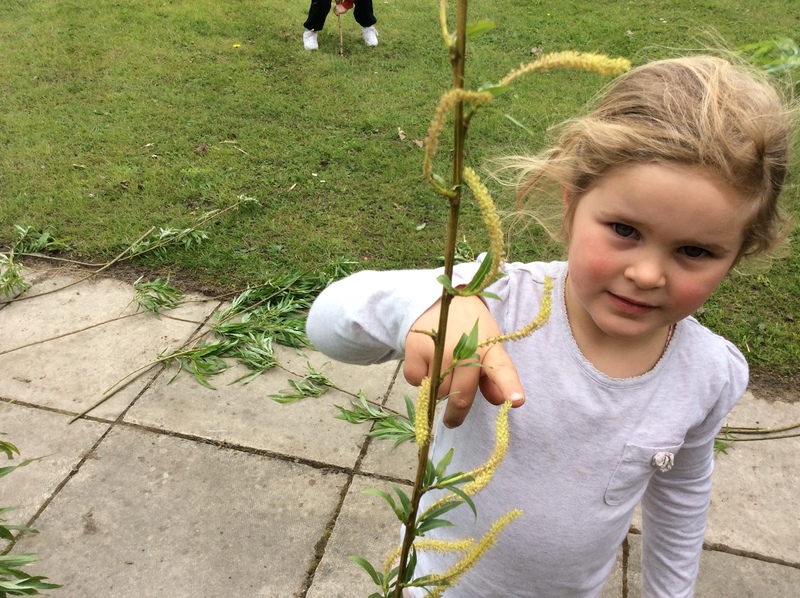 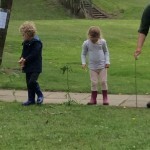 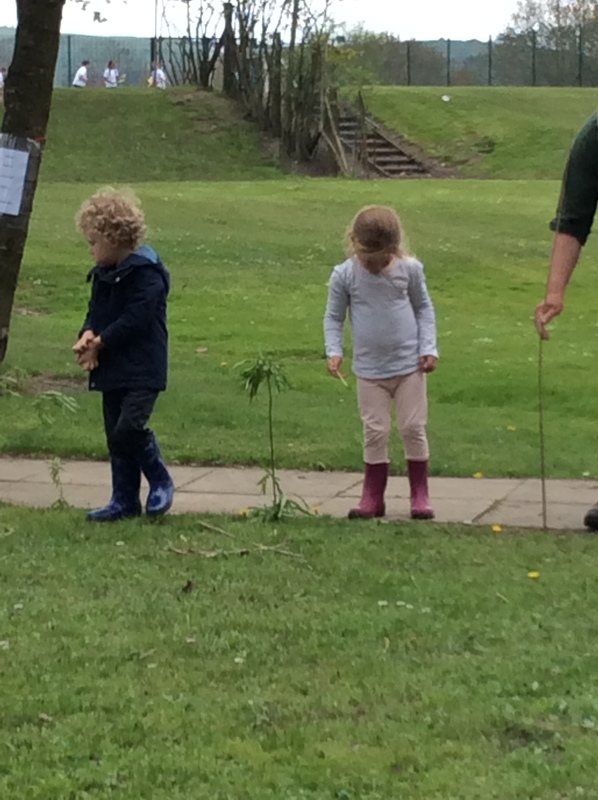 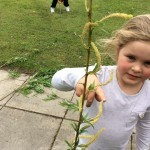 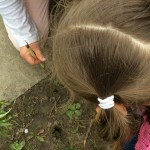 We planted some willow branches that will hopefully grow to form a willow hedge to mark out the Forest School area. 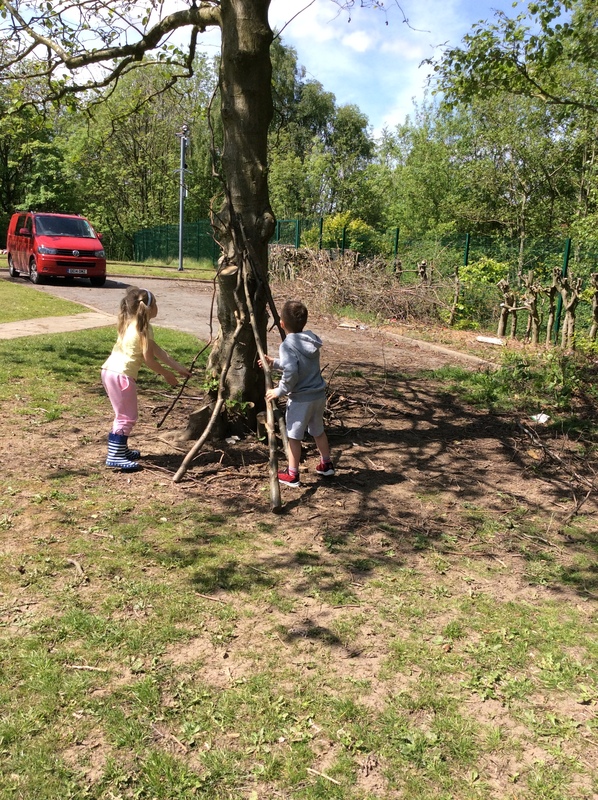 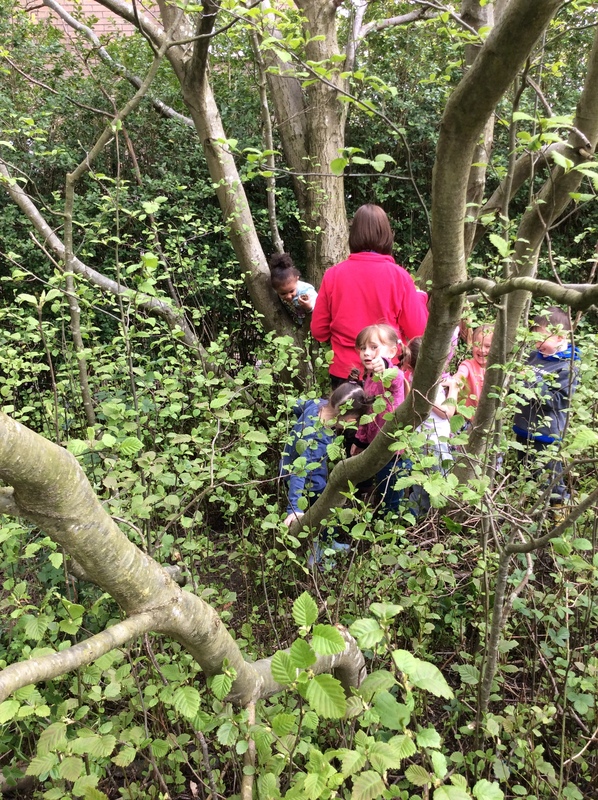 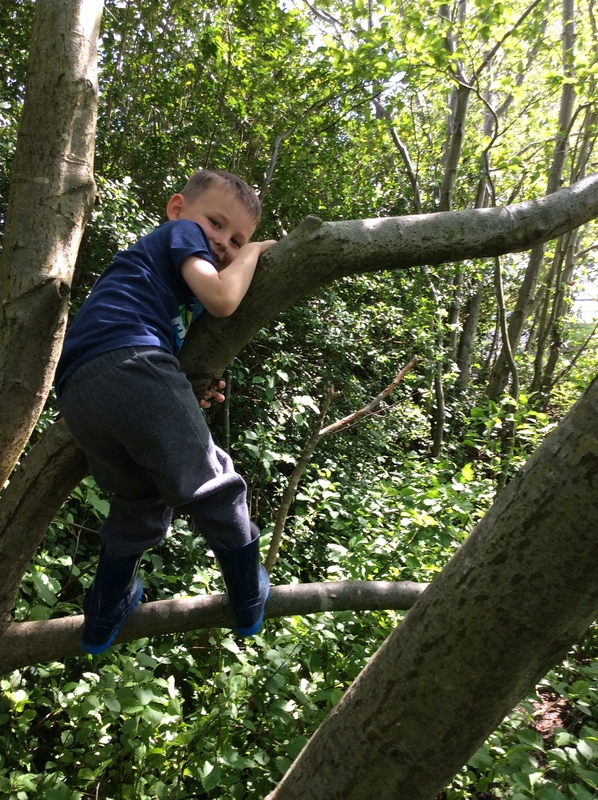 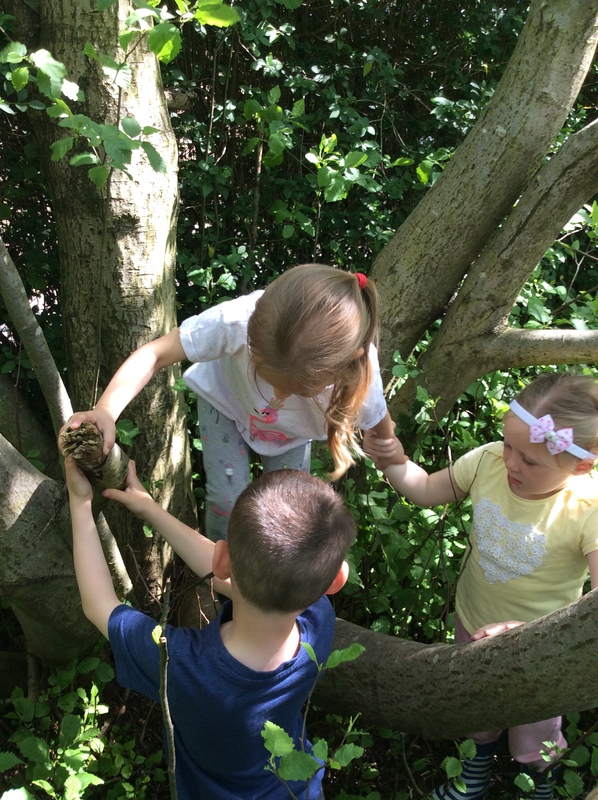 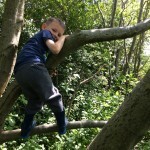 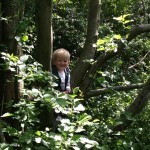 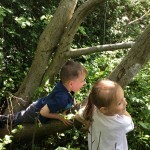 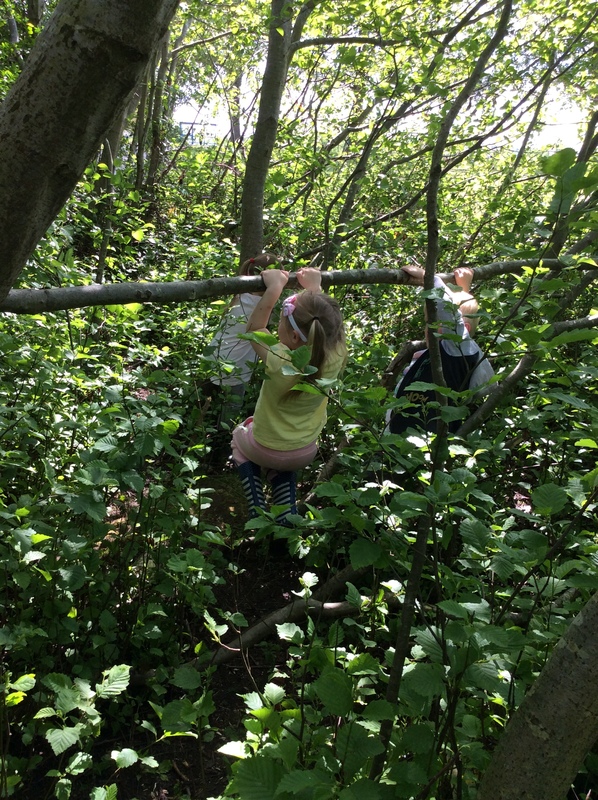 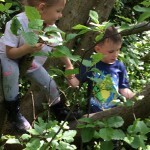 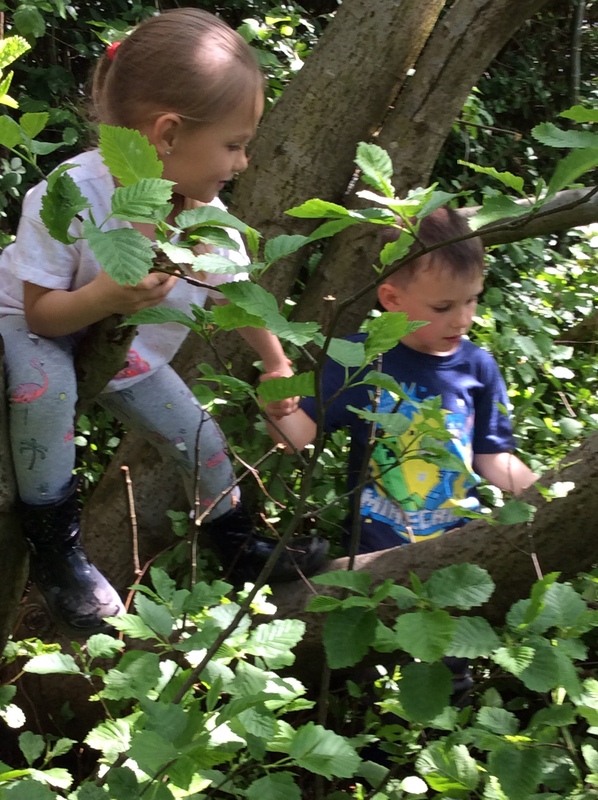 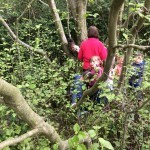 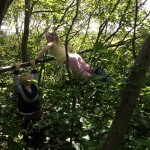 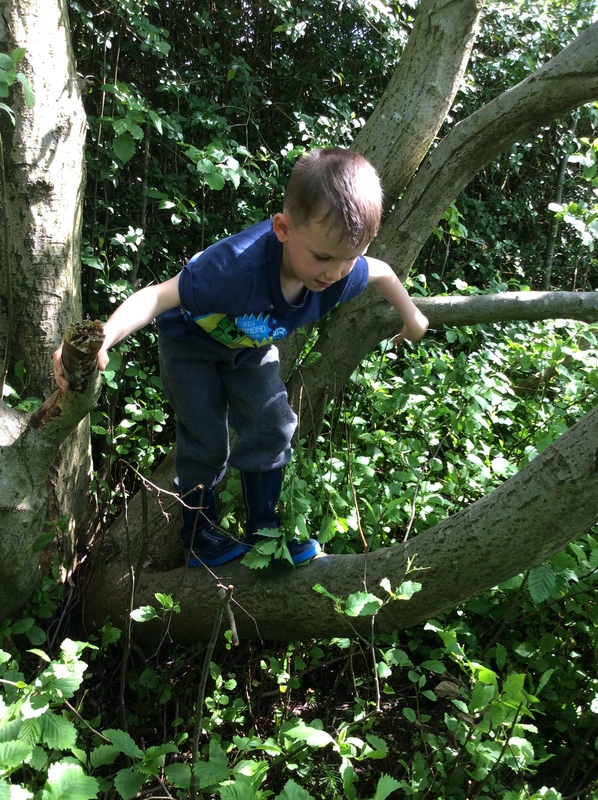 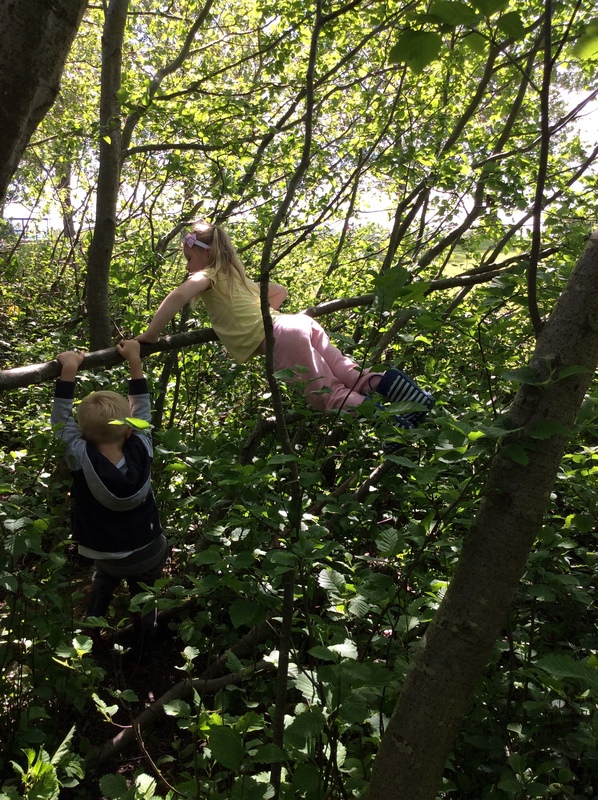 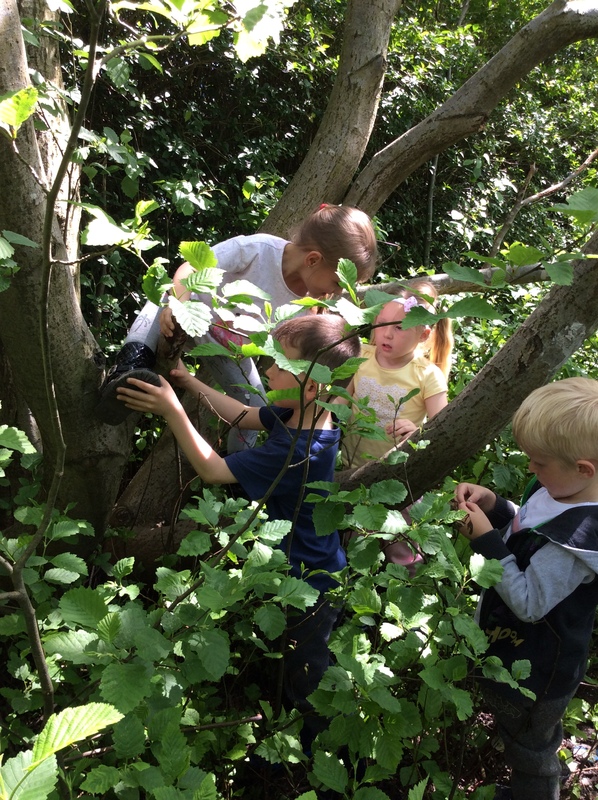 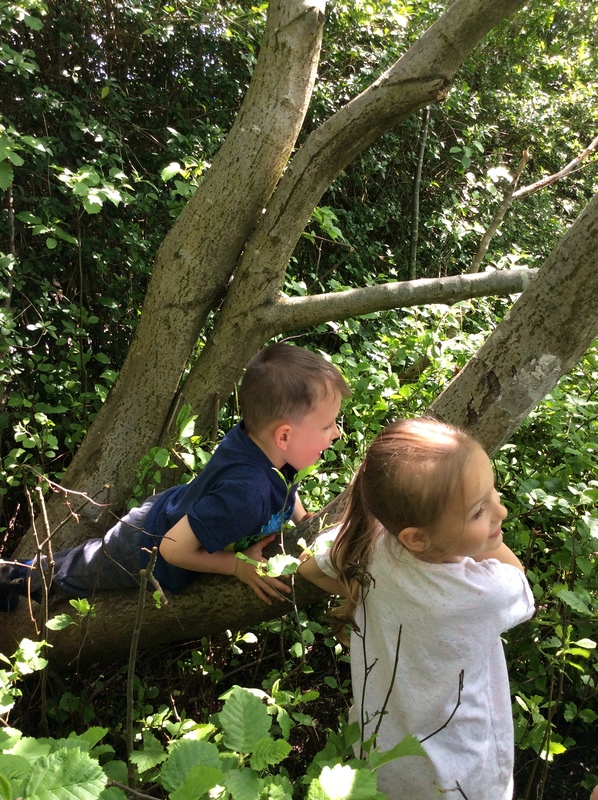 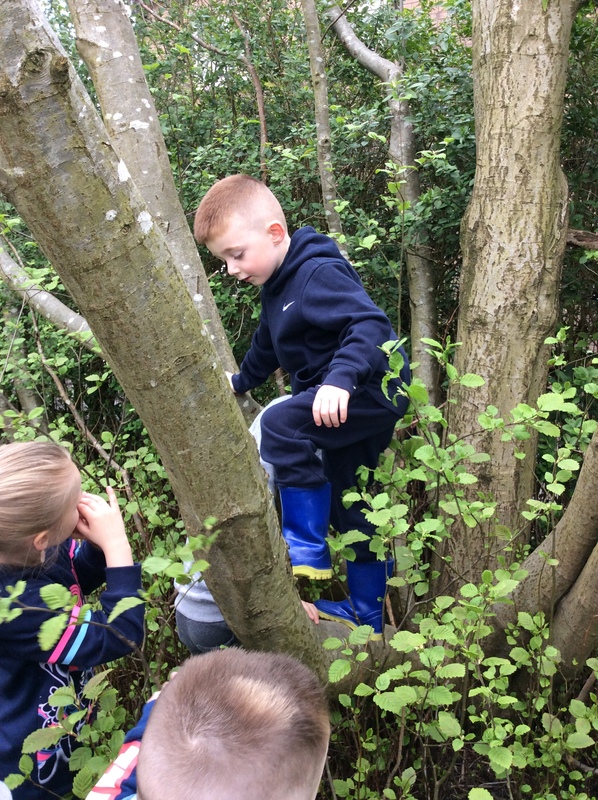 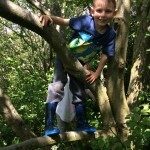 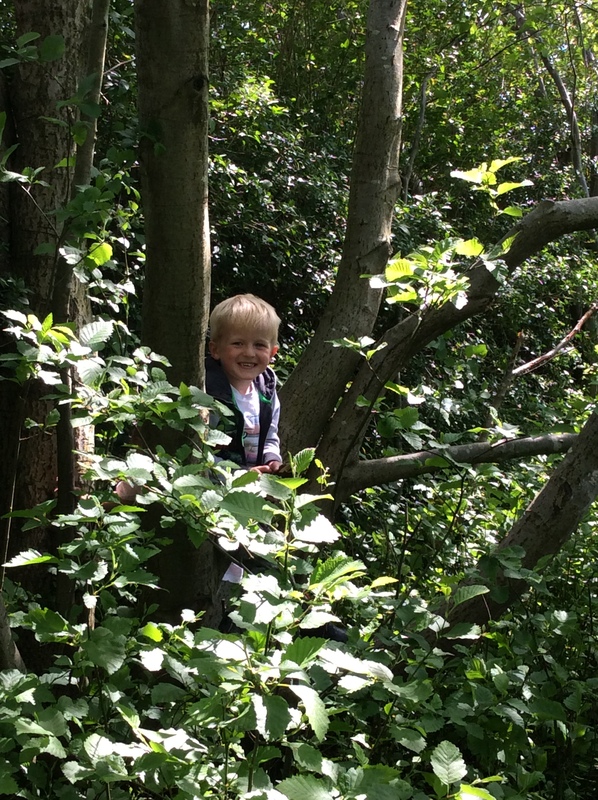 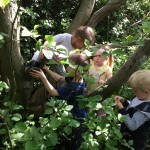 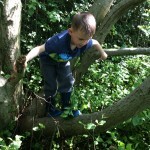 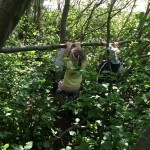 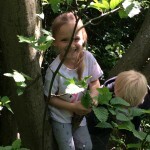 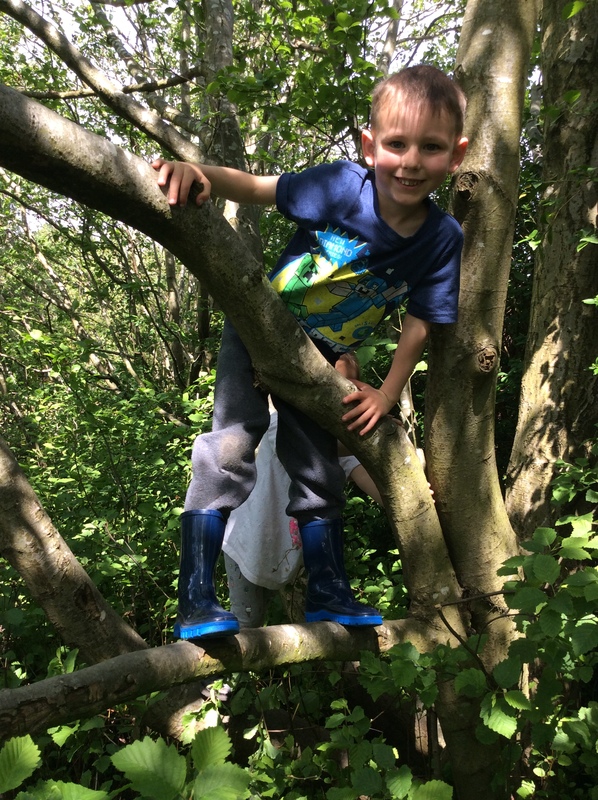 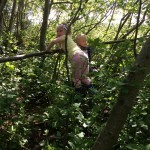 We had great fun exploring and climbing trees. 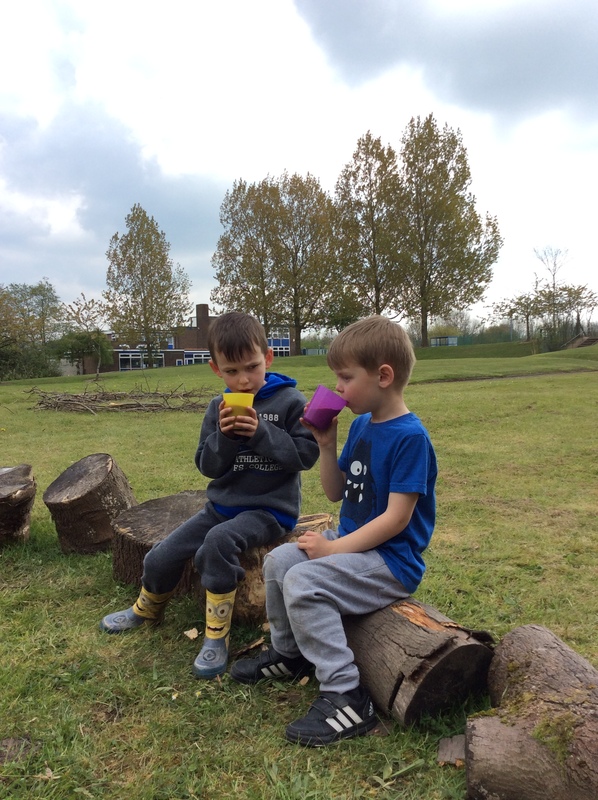 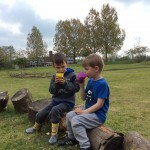 We all enjoyed a lovely cup of hot chocolate sitting in the gathering circle. 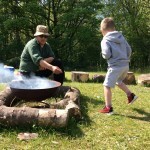 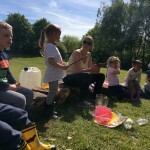 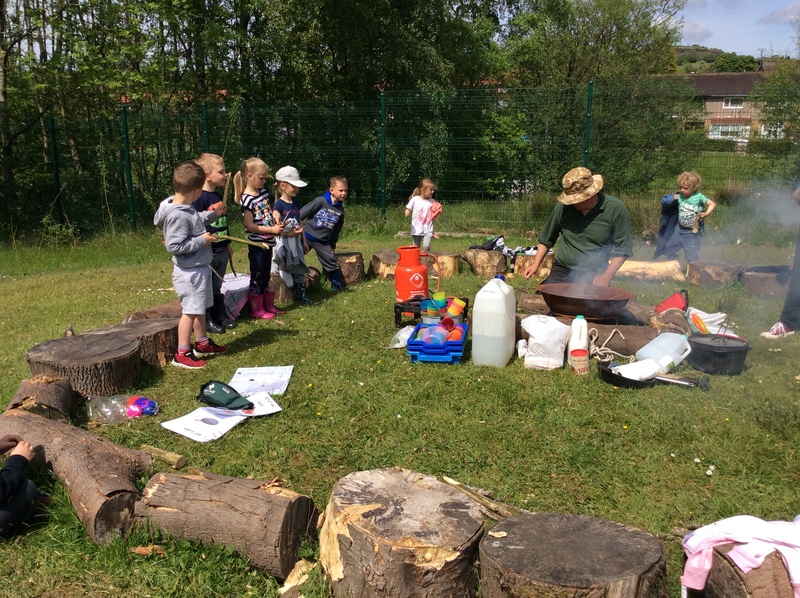 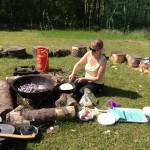 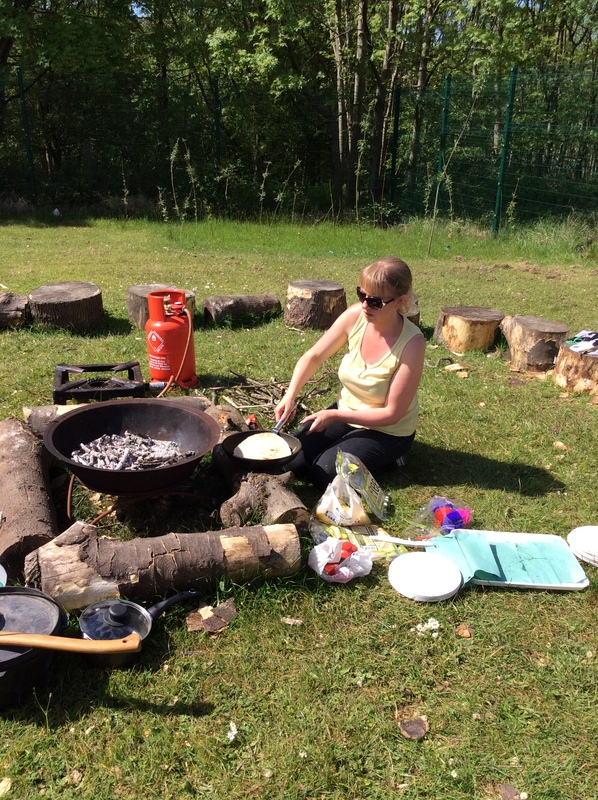 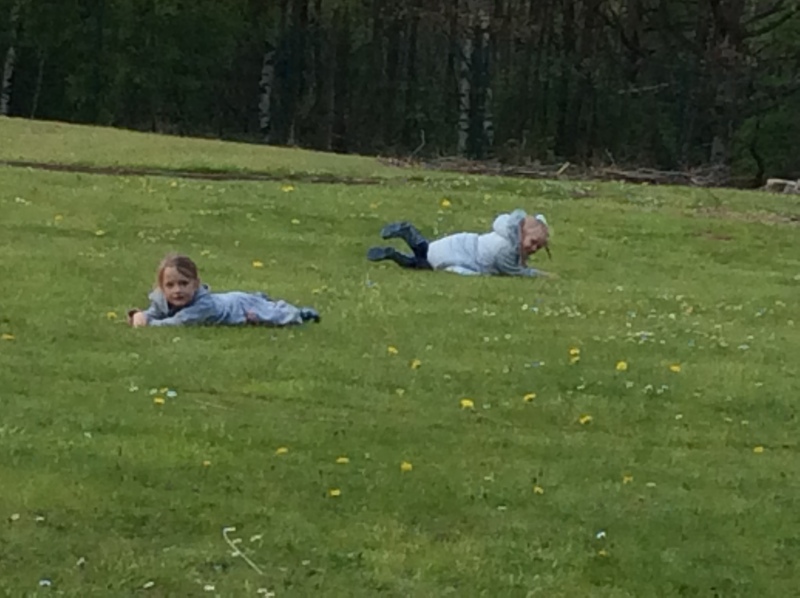 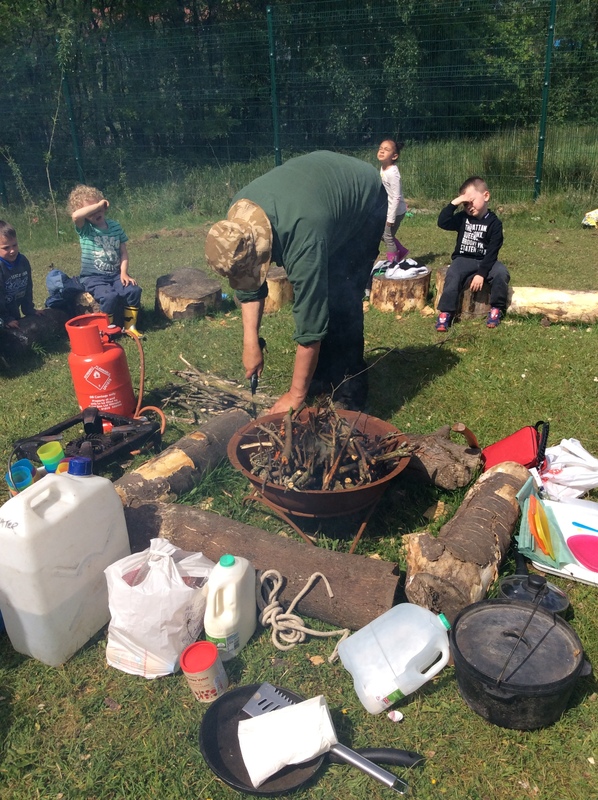 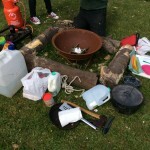 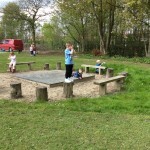 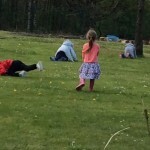 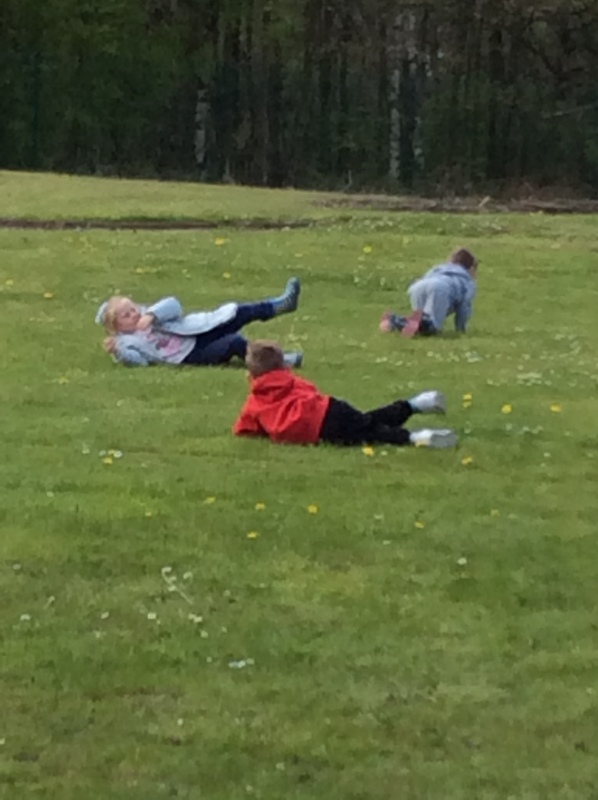 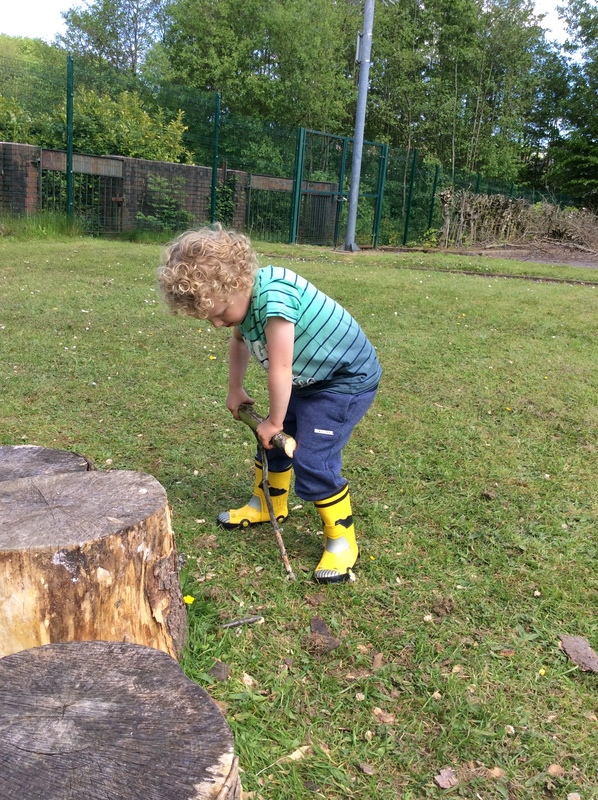 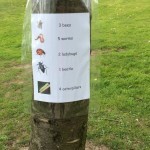 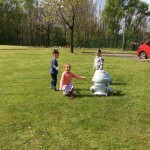 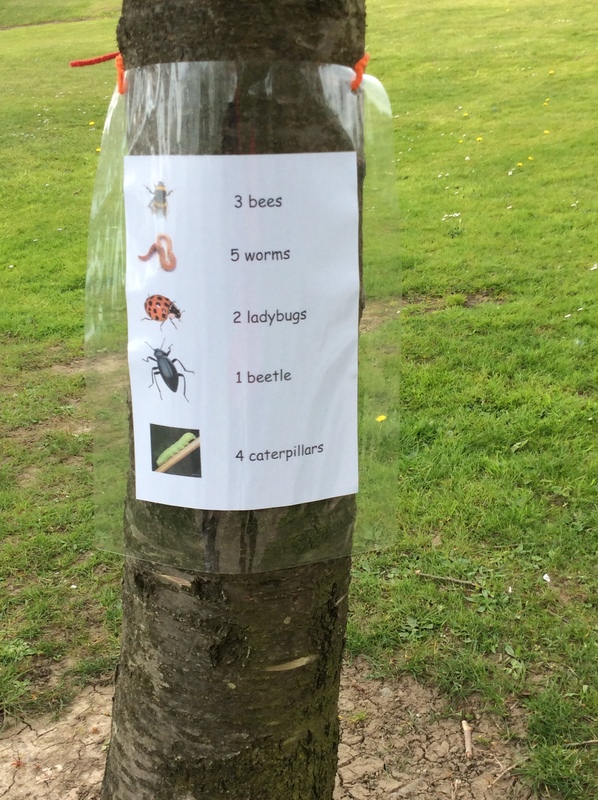 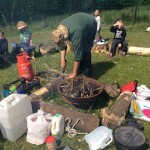 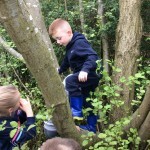 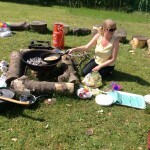 Thank you Mrs Malone for planning even more fantastic forest school fun. 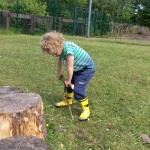 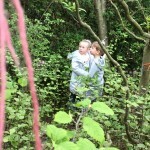 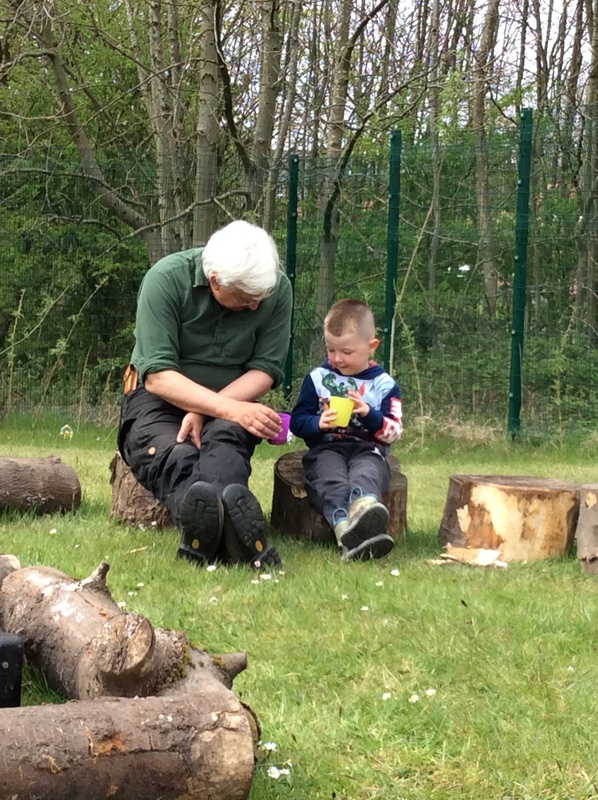 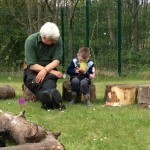 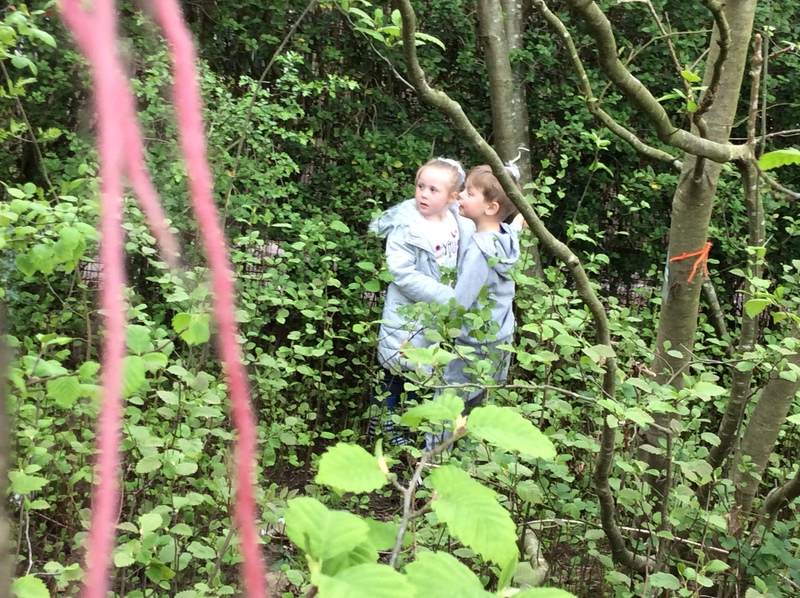 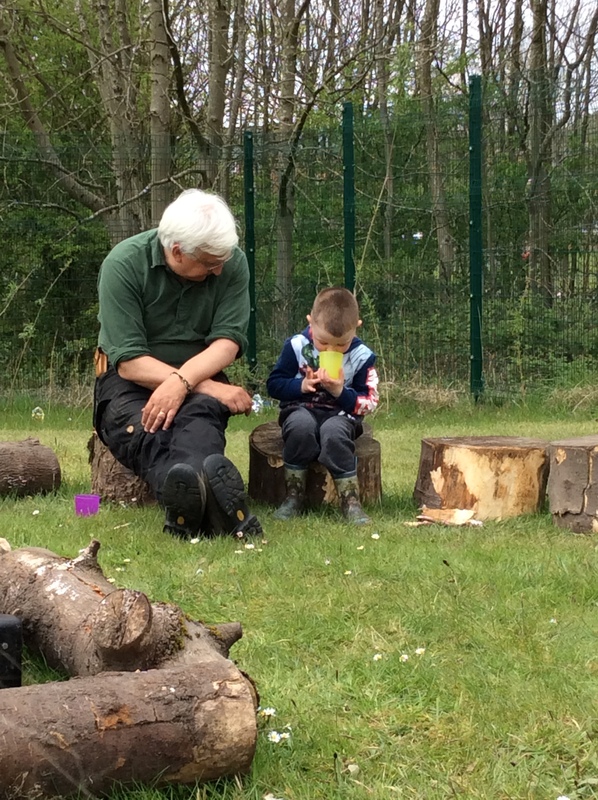 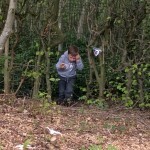 We are really sad that it was our last forest school session today. 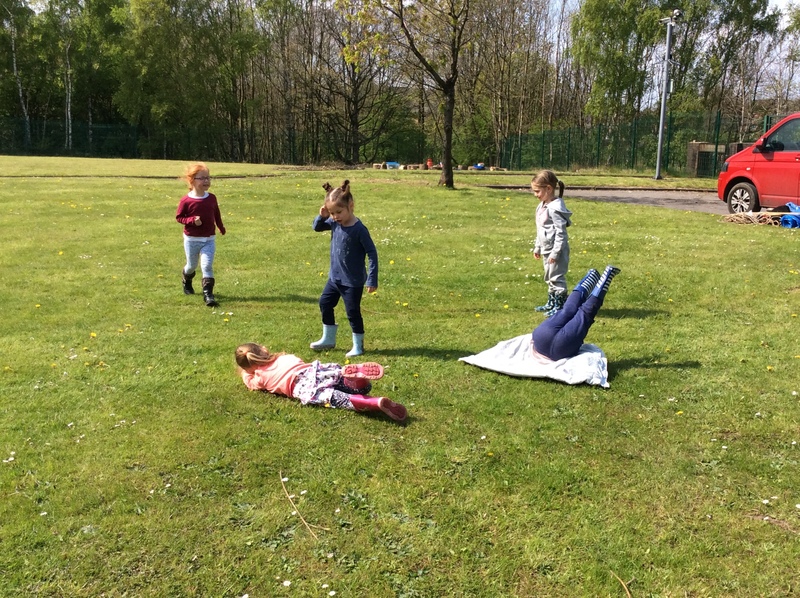 BUT we celebrated having more fun in the sunshine. 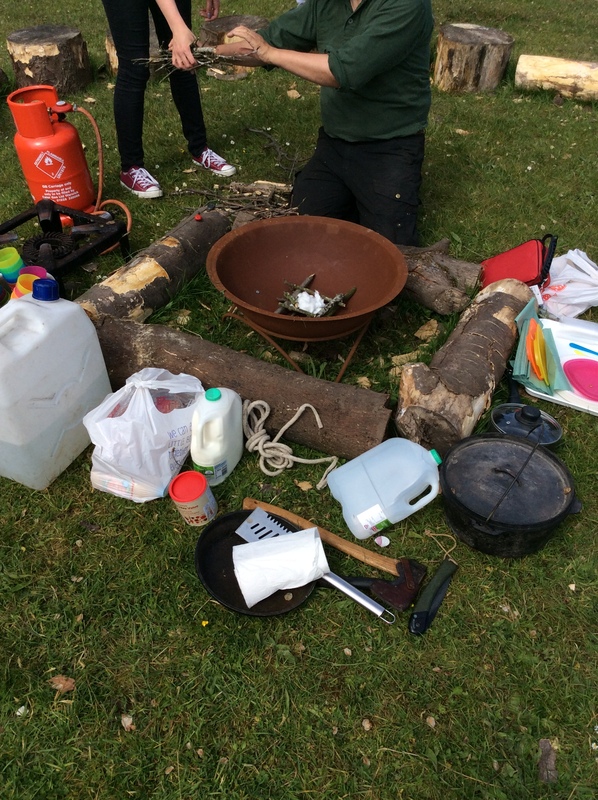 We made pizza in a pan in ‘Freida the fire pit’ and drank fruit punch. 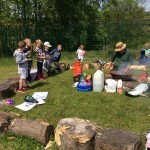 Mrs Walker joined us with her guitar and we sang camp fire songs. 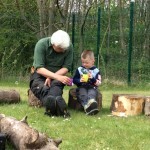 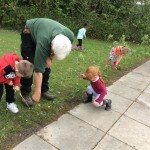 Thank you Mrs Malone for planning fantastic forest school sessions for us. 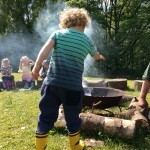 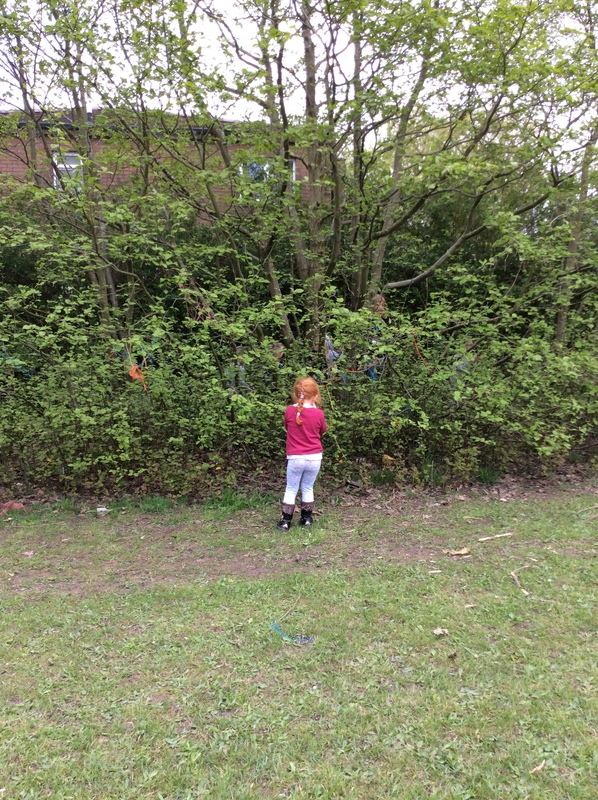 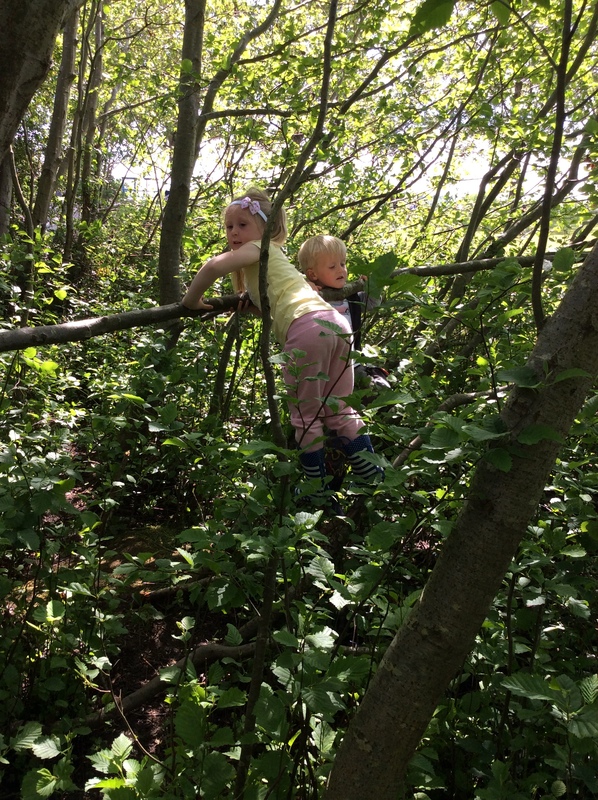 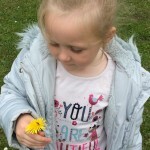 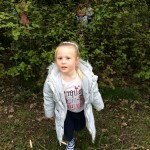 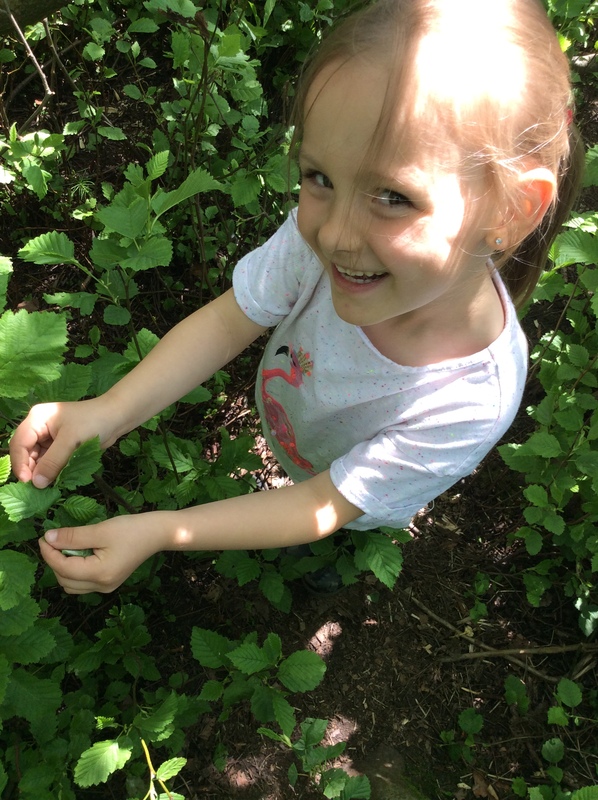 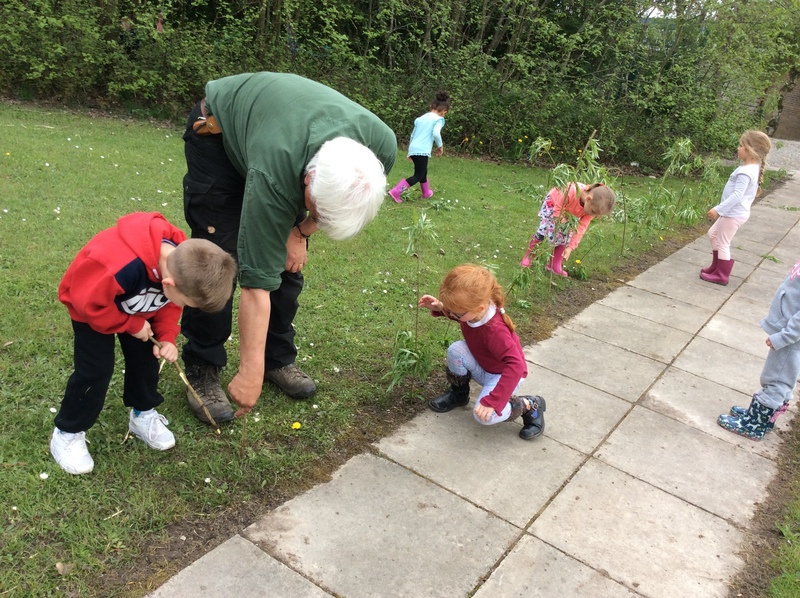 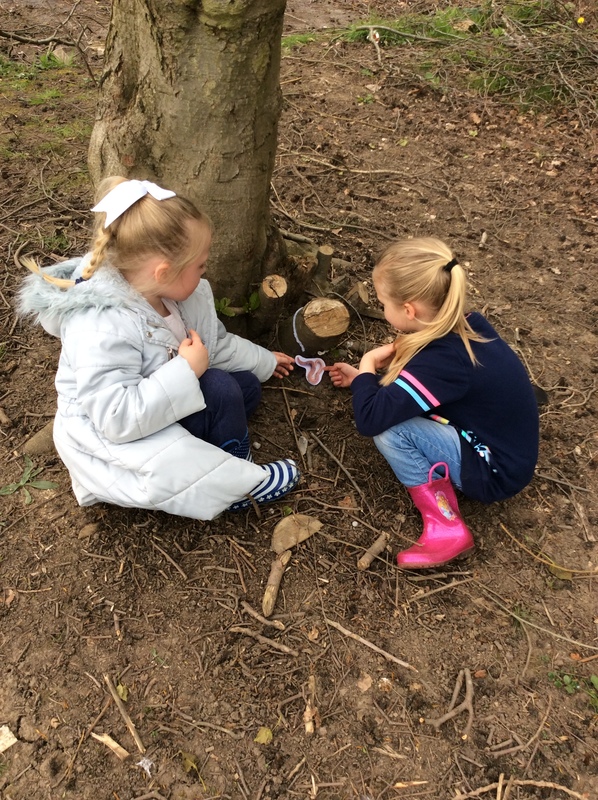 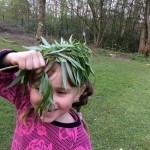 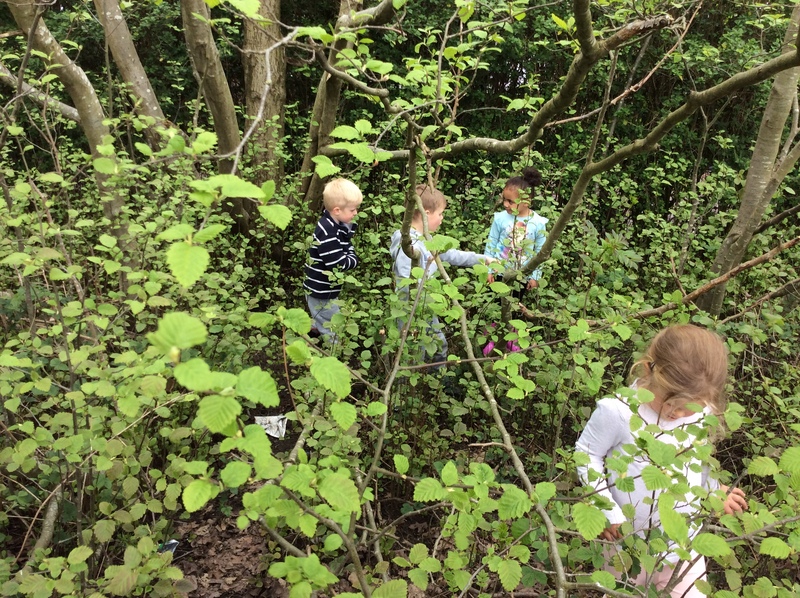 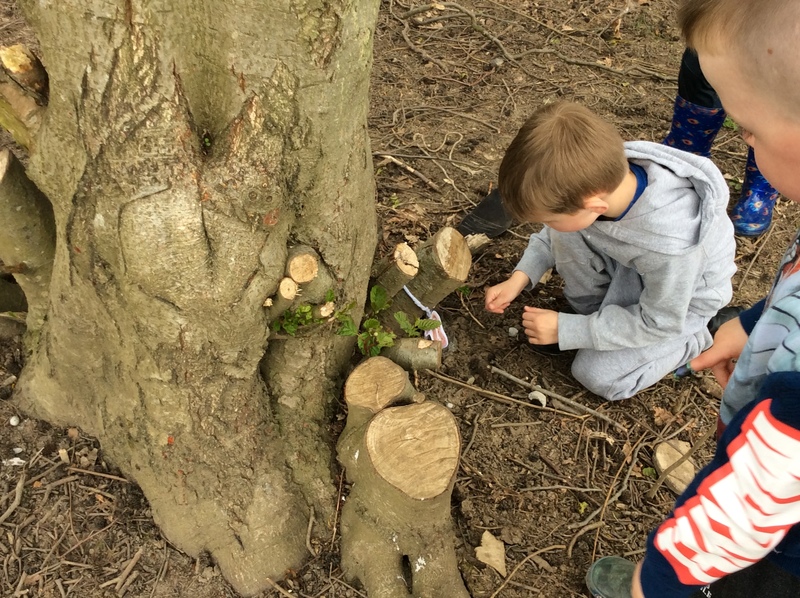 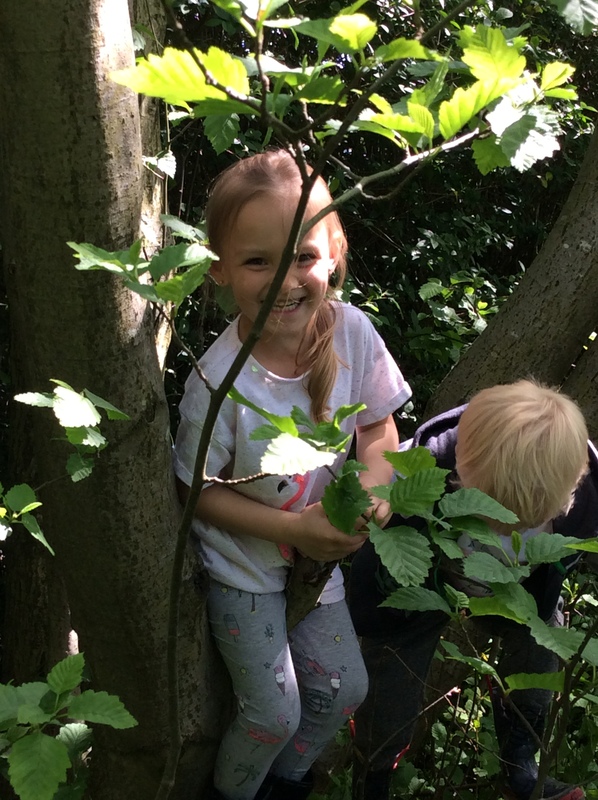 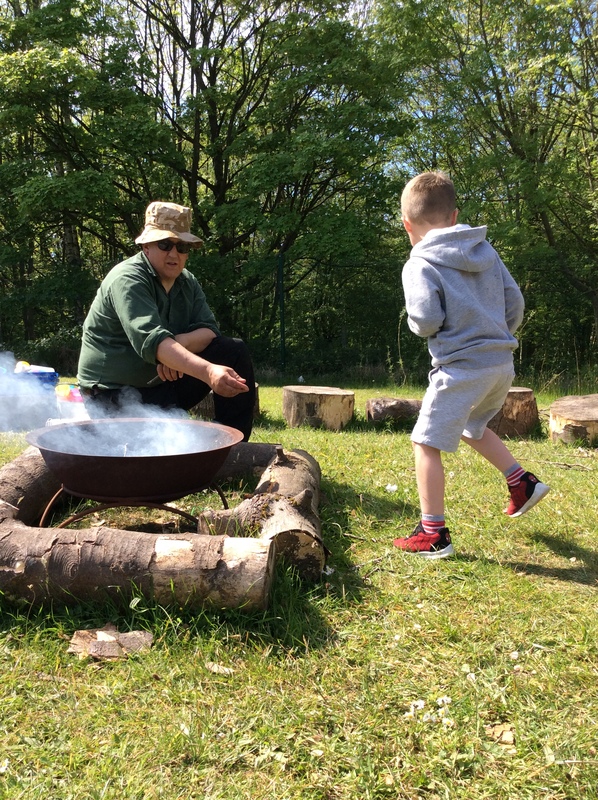 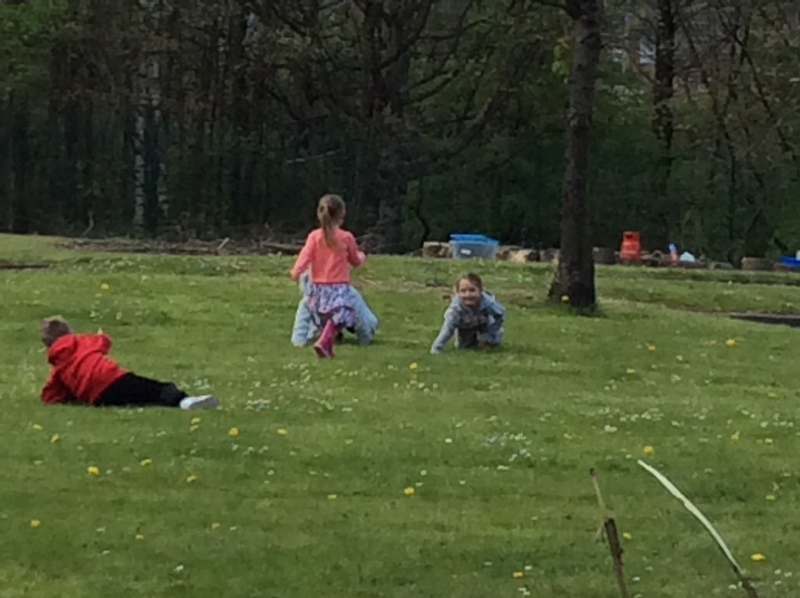 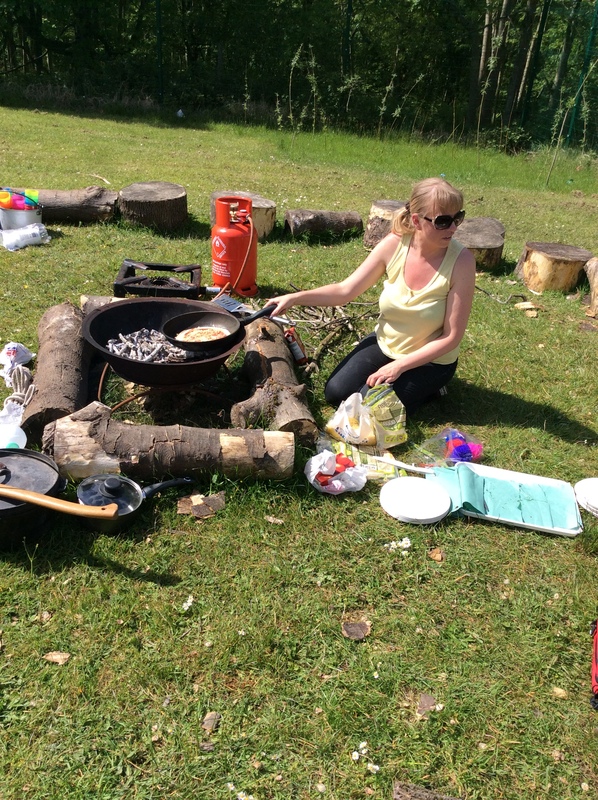 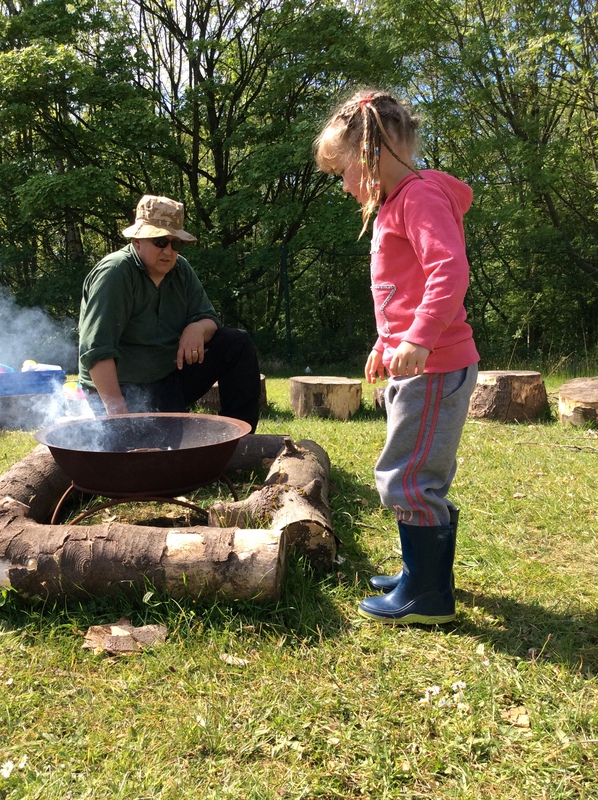 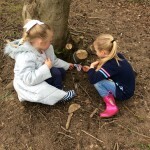 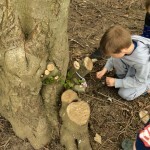 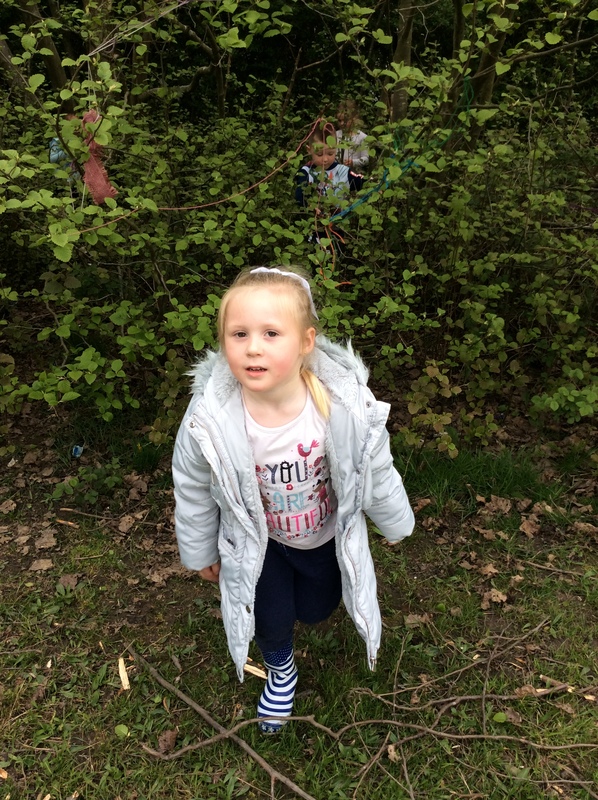 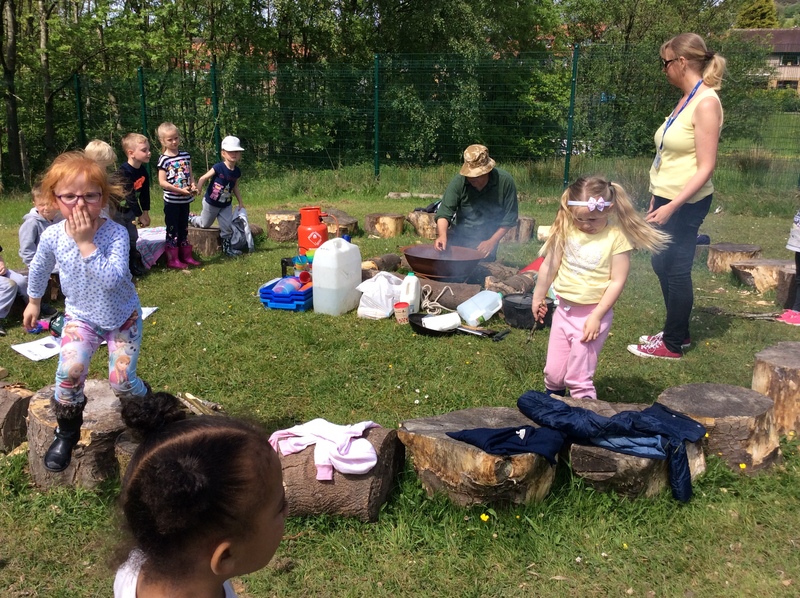 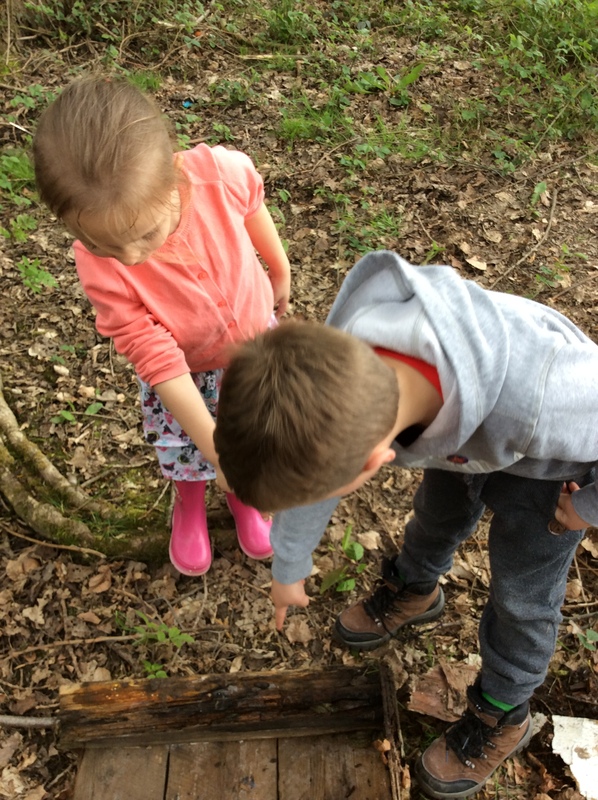 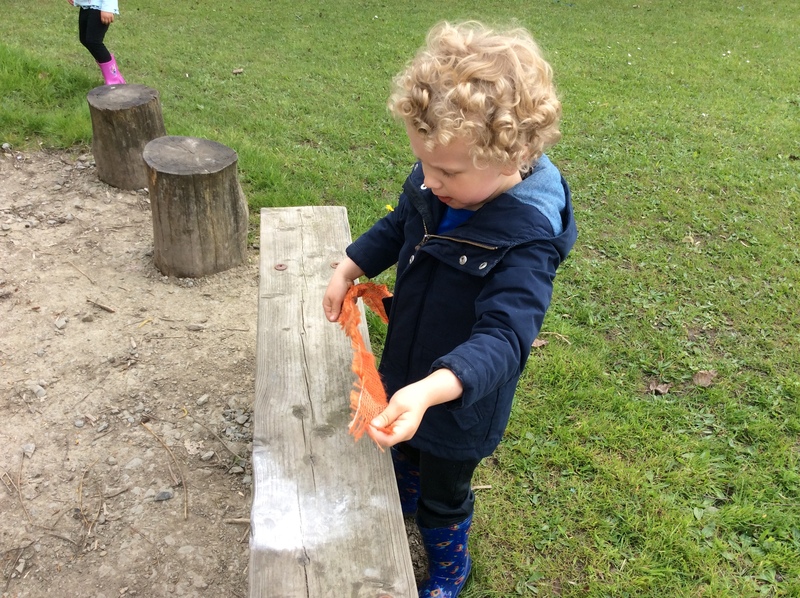 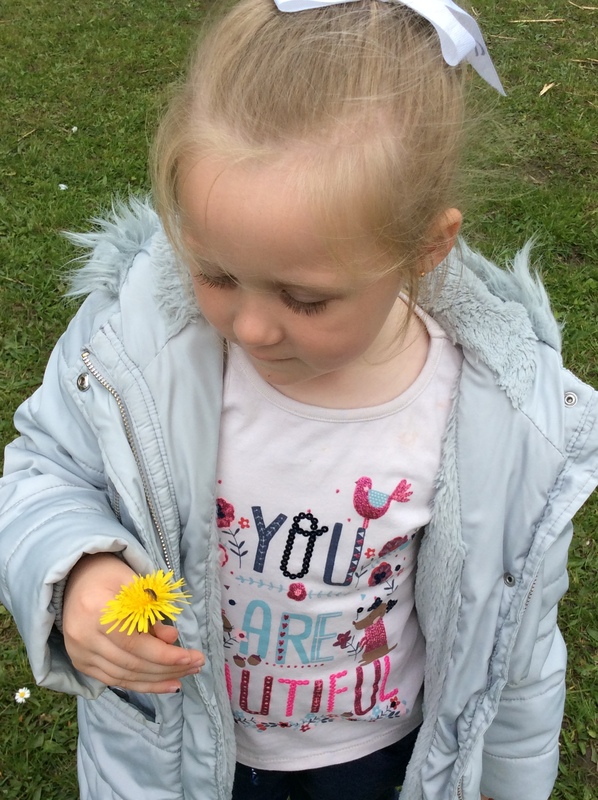 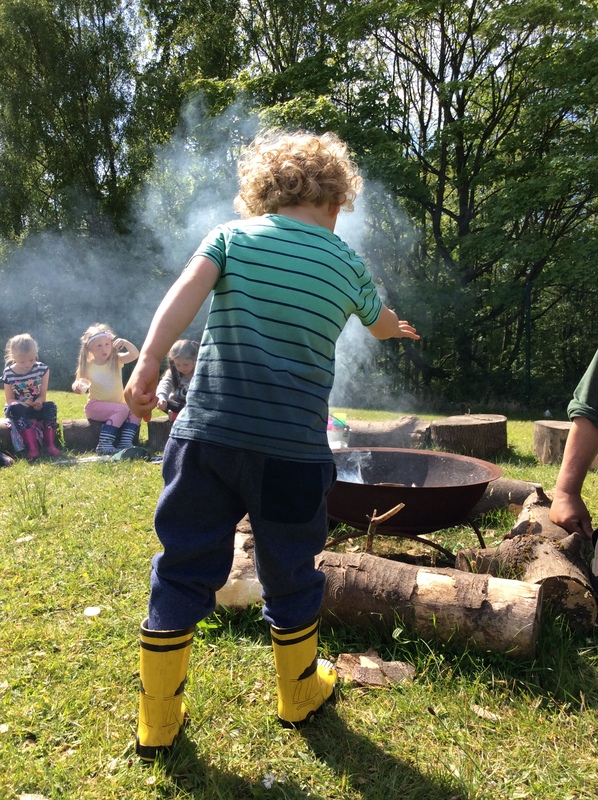 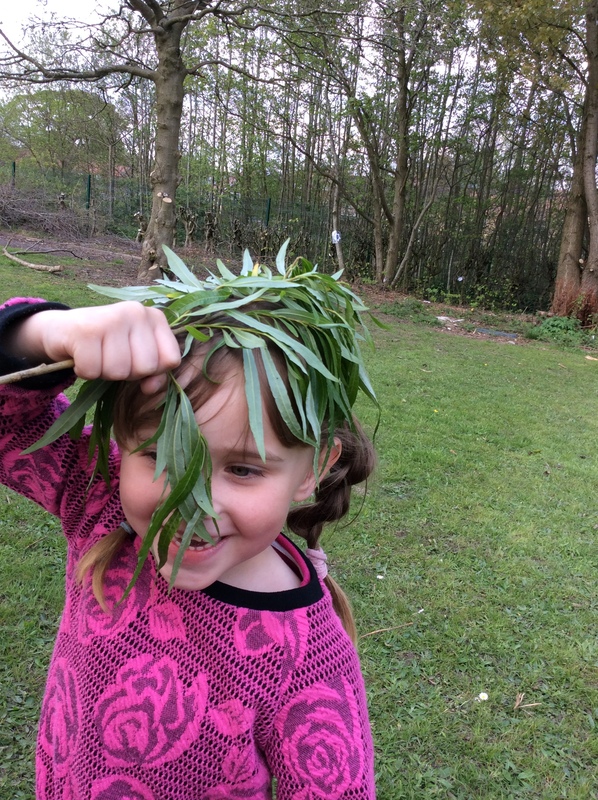 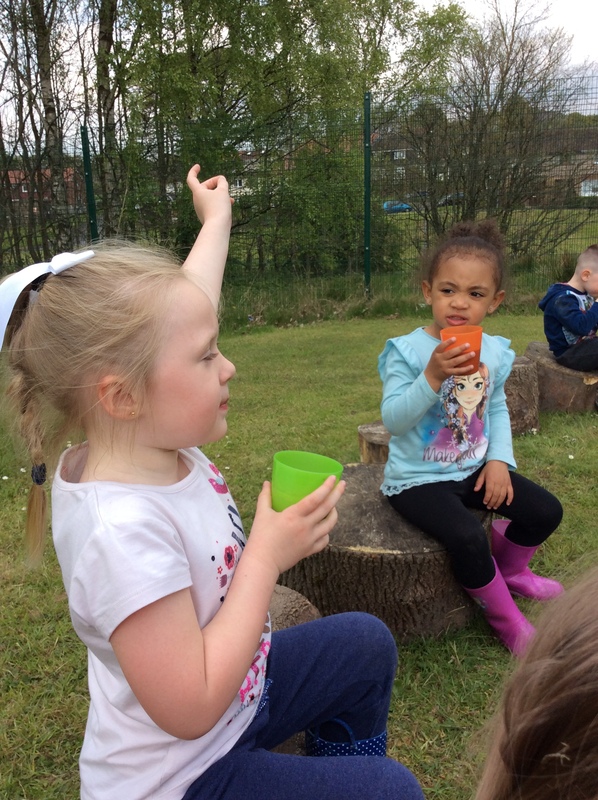 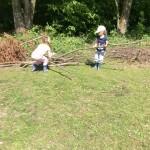 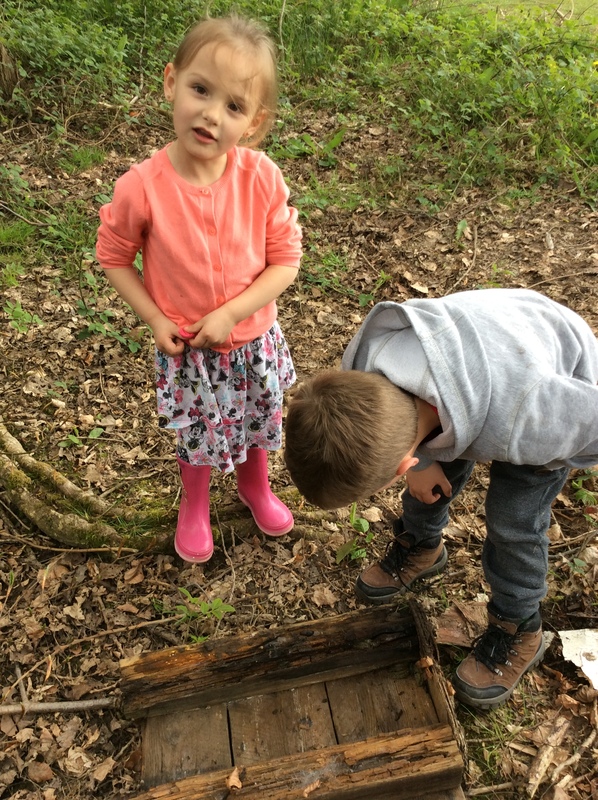 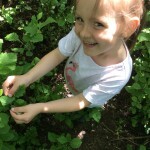 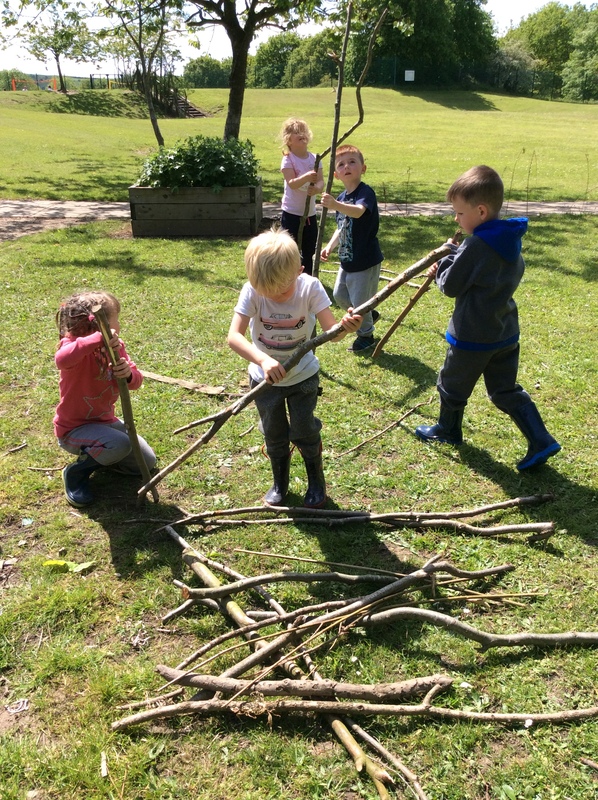 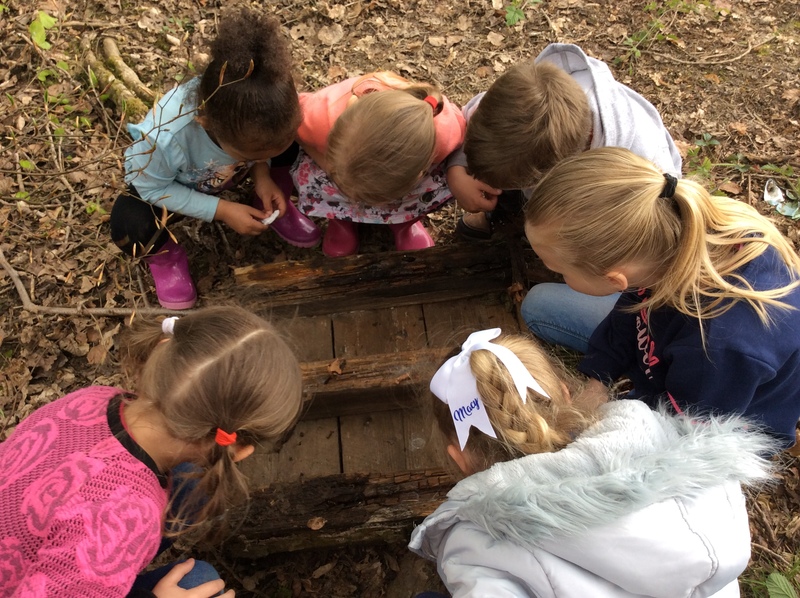 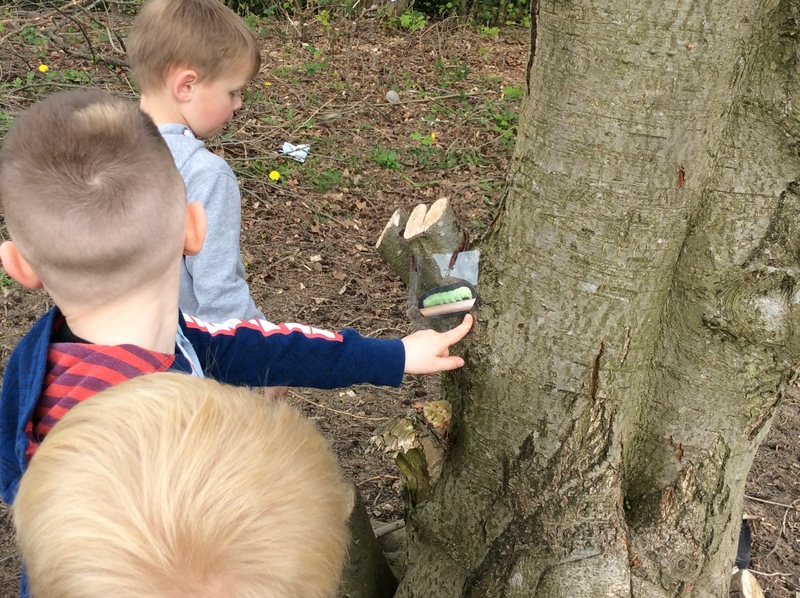 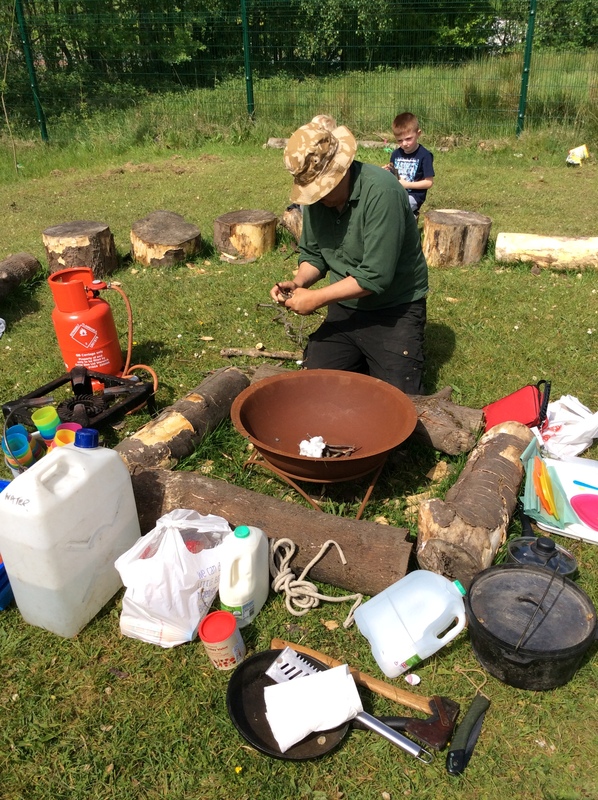 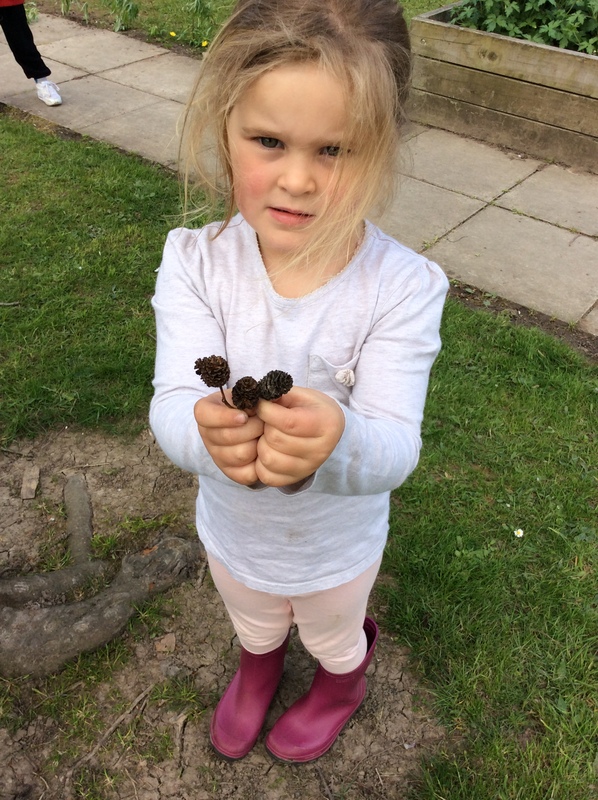 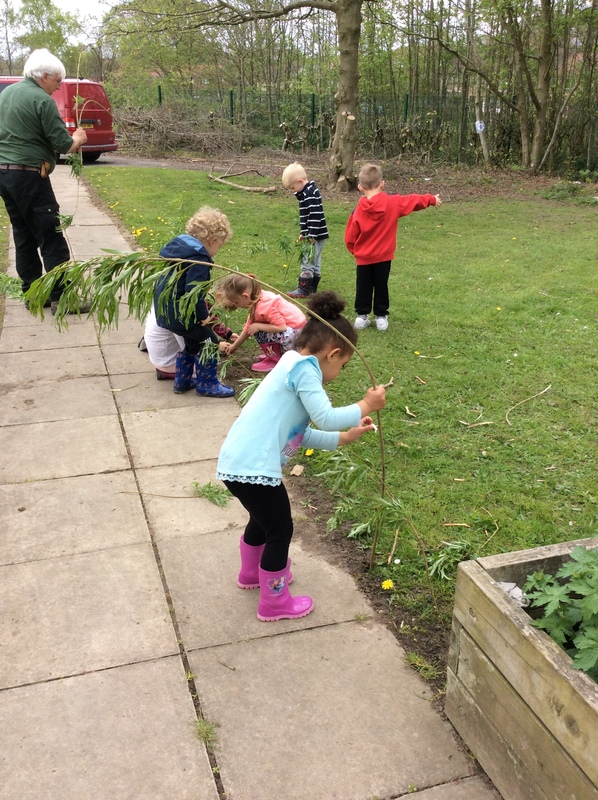 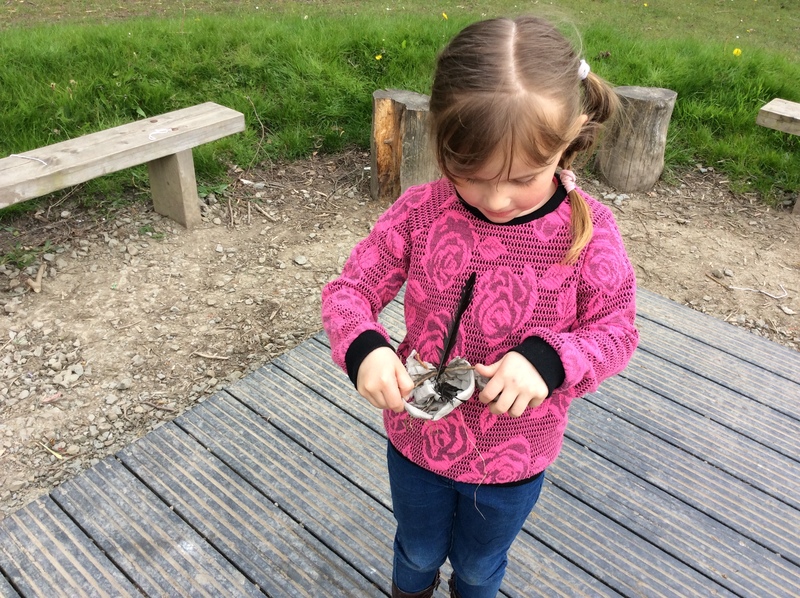 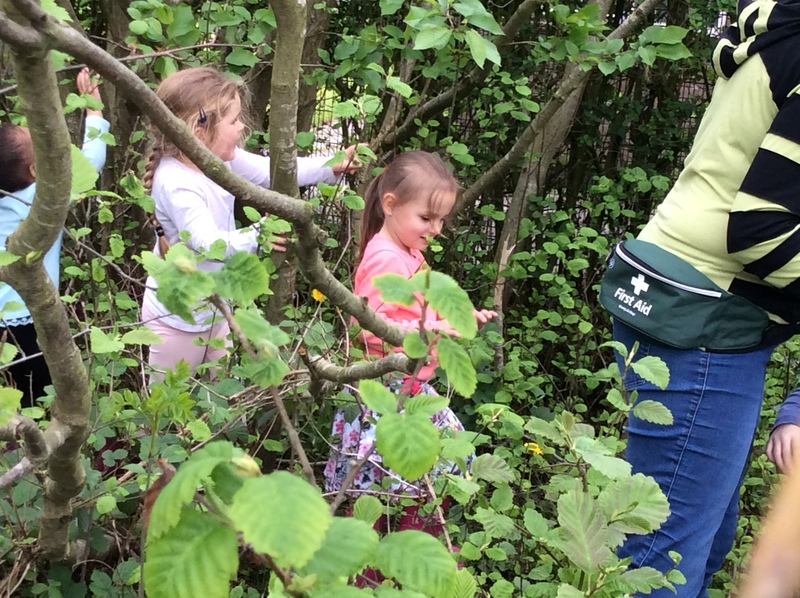 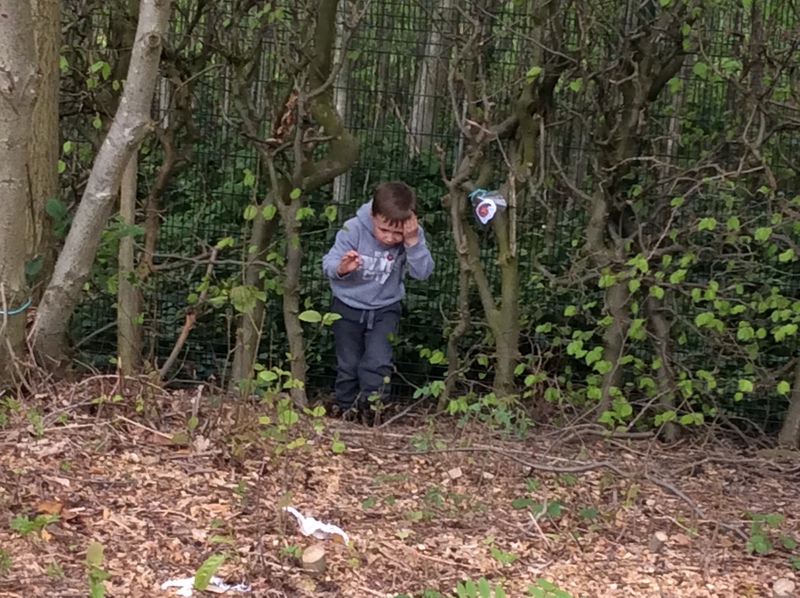 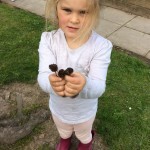 We can’t wait for forest School next year!